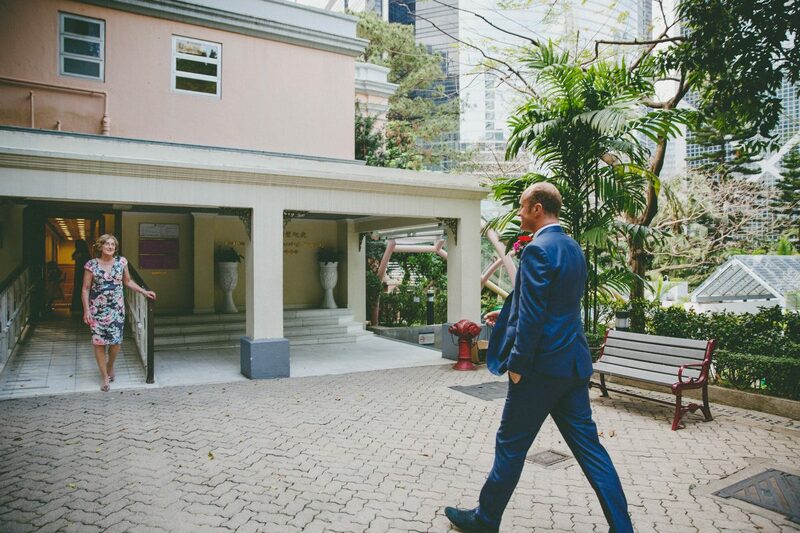 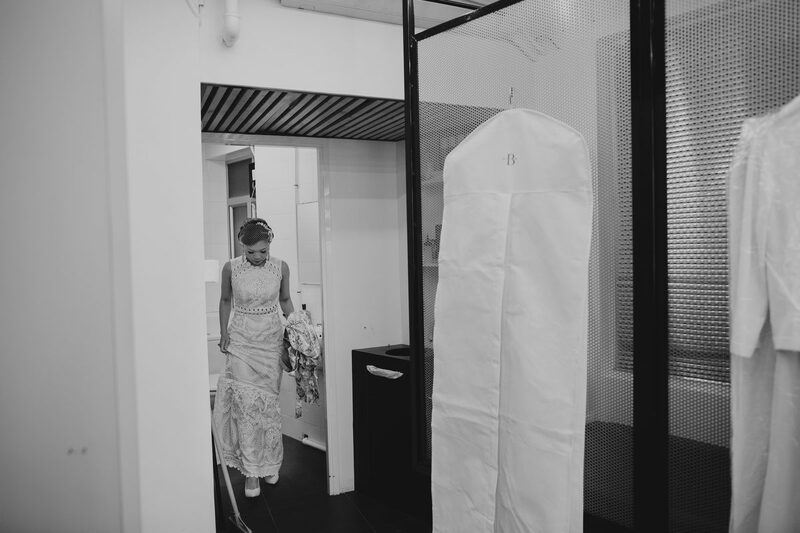 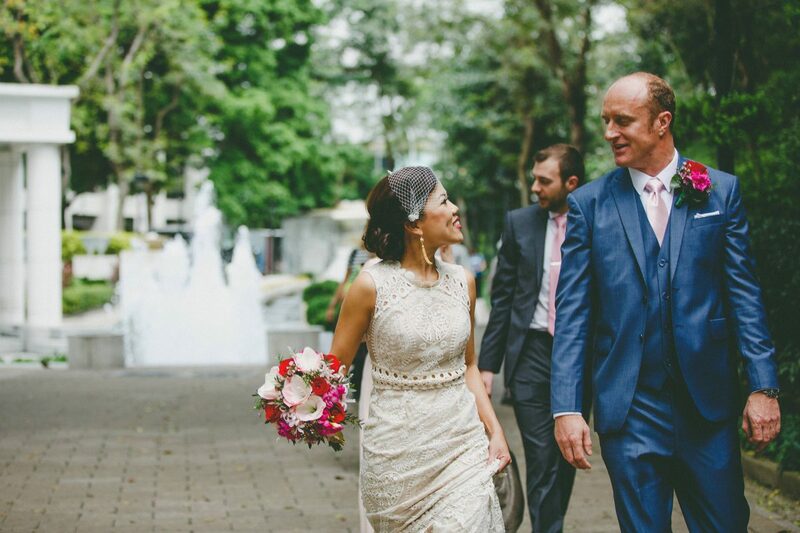 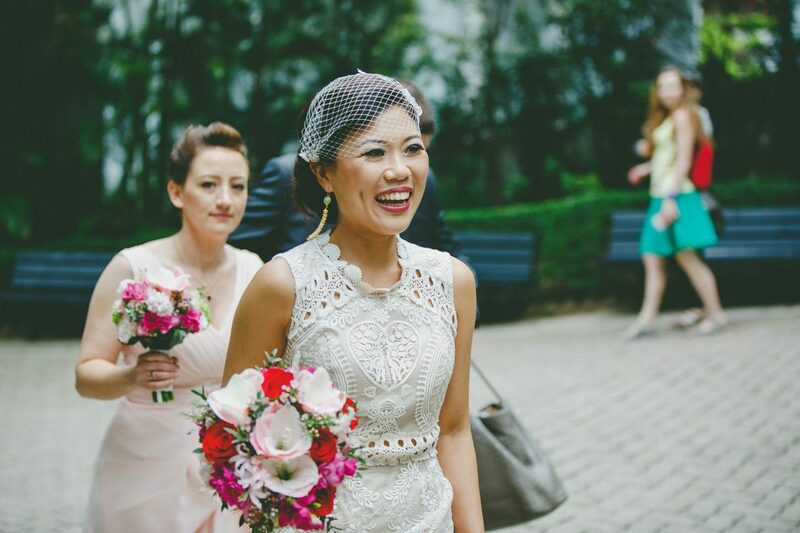 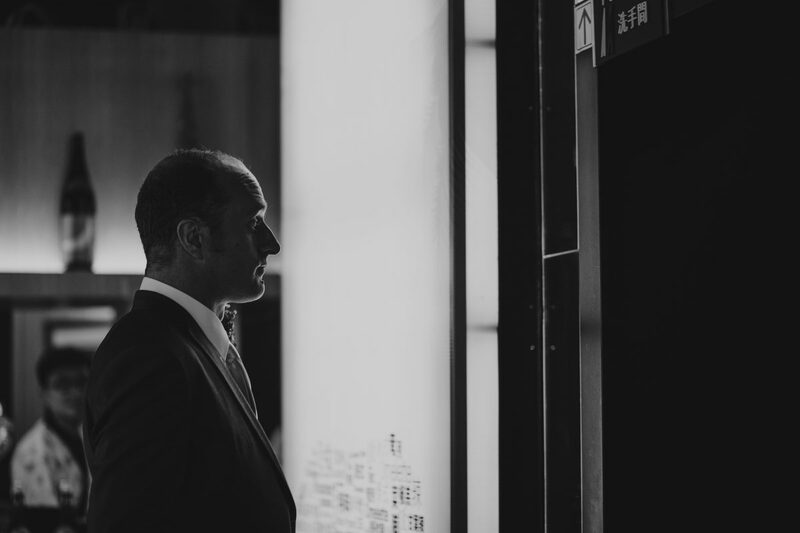 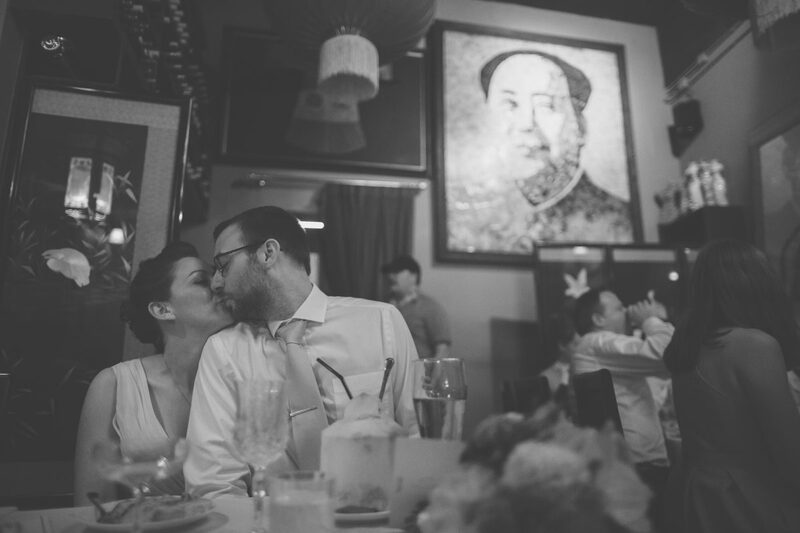 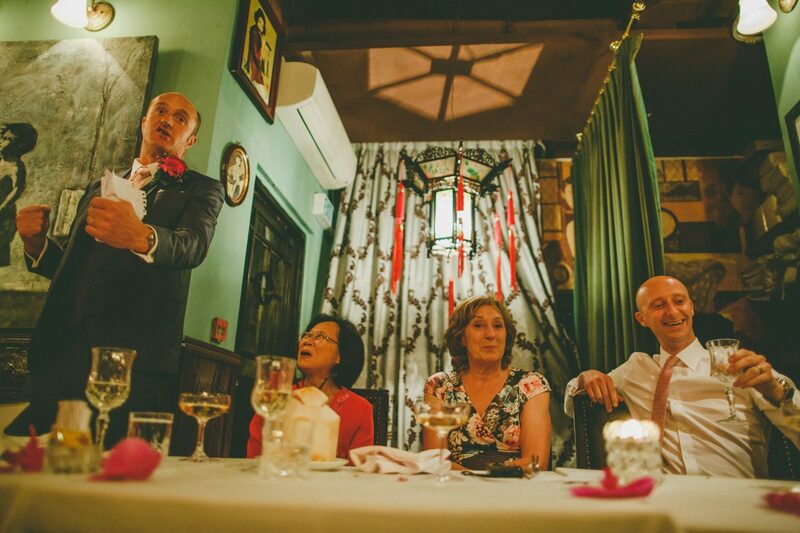 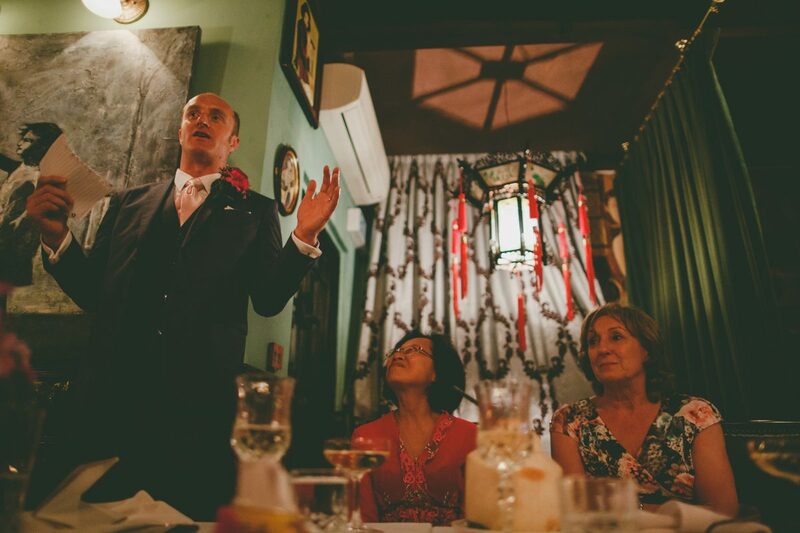 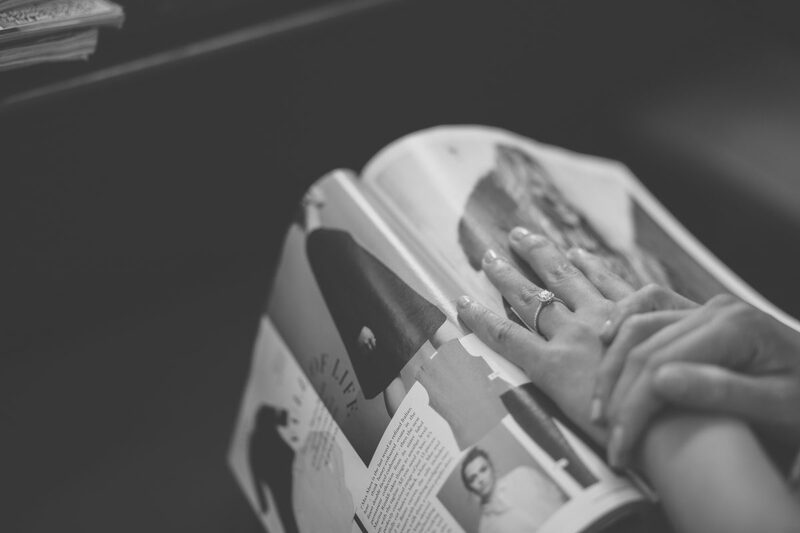 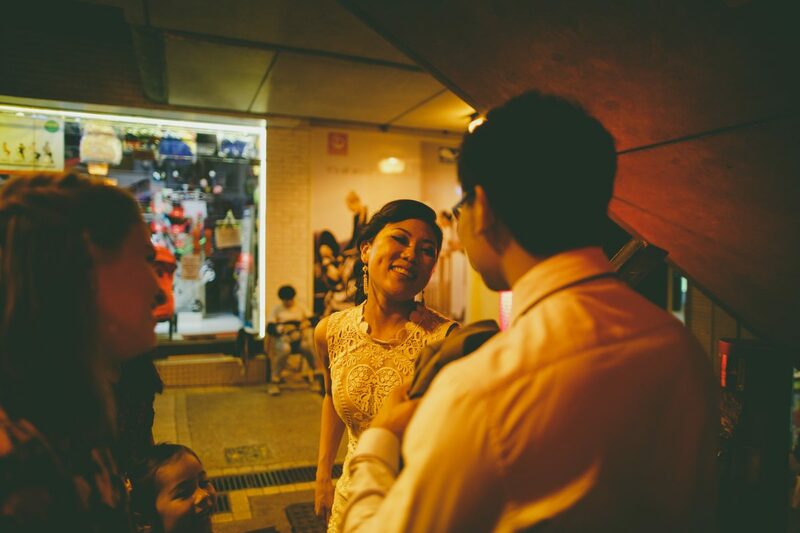 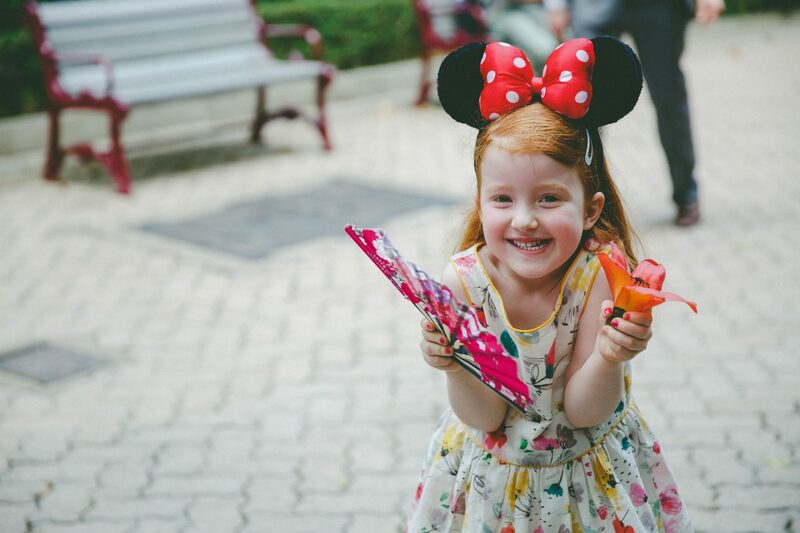 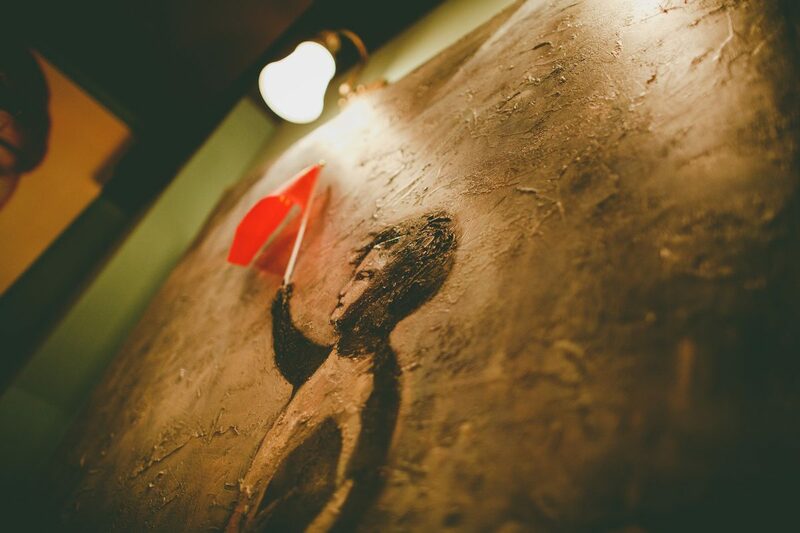 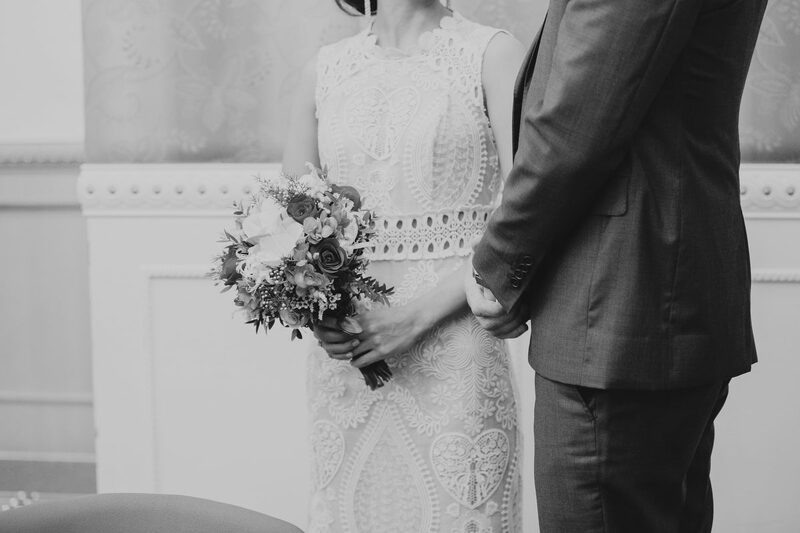 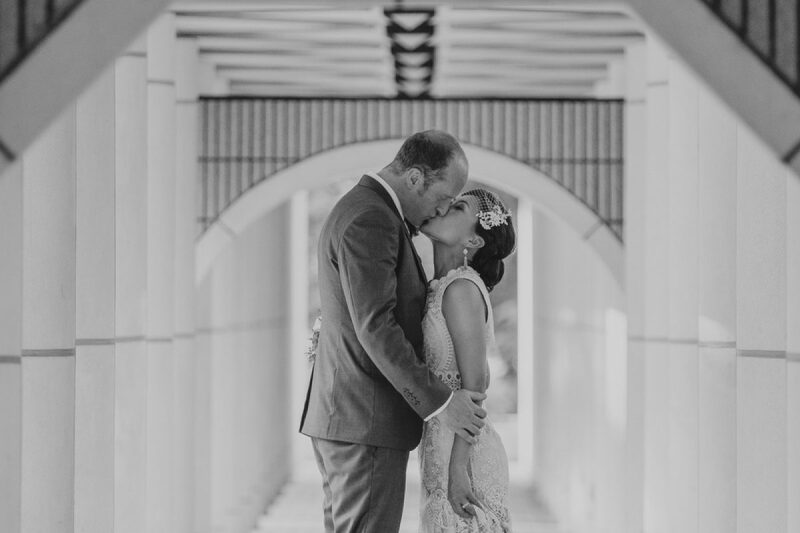 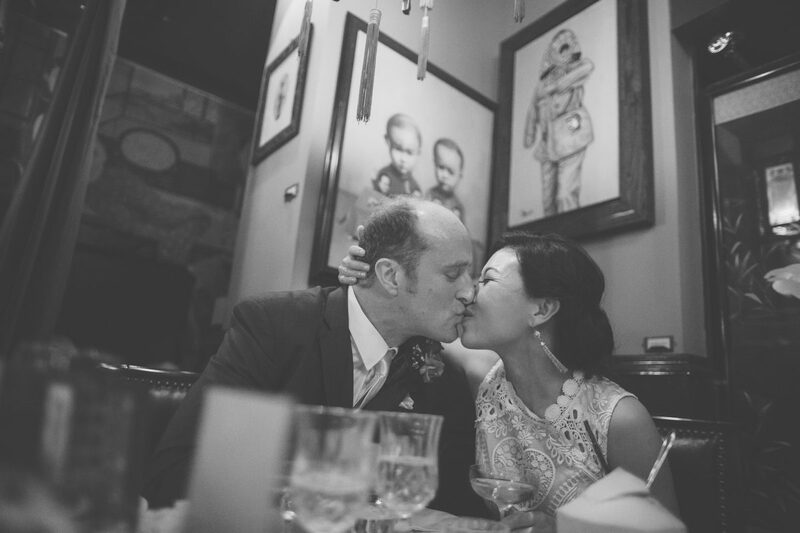 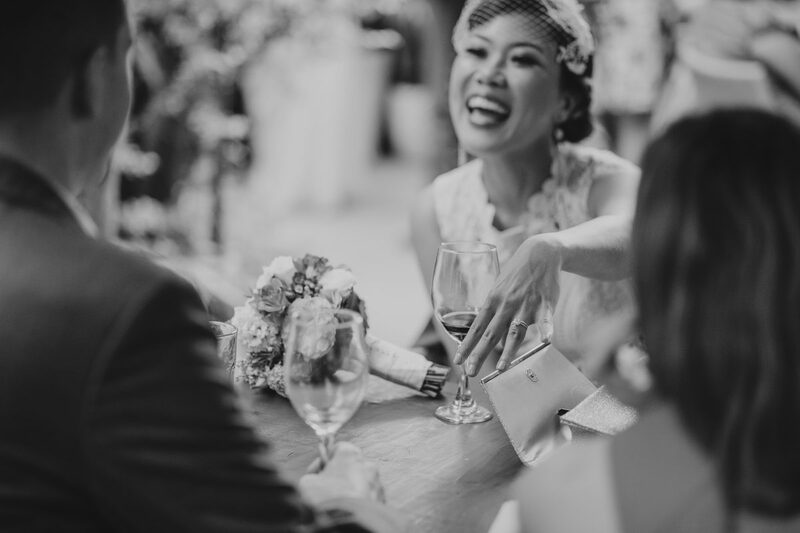 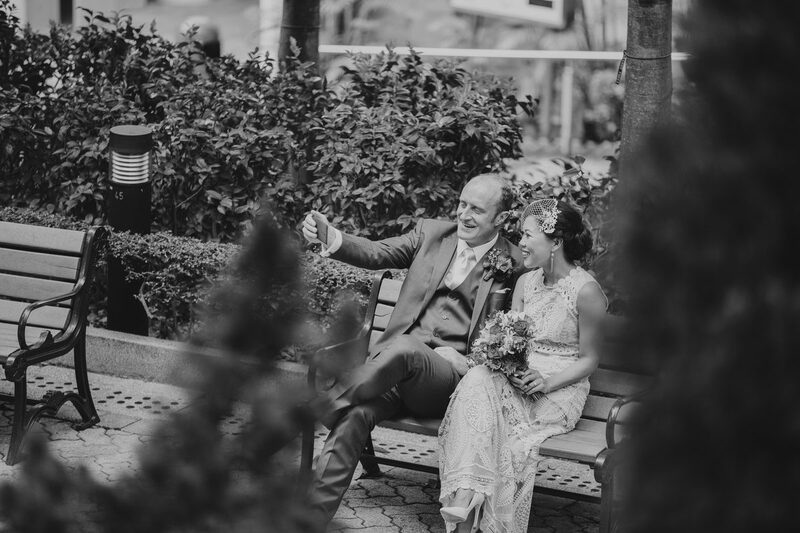 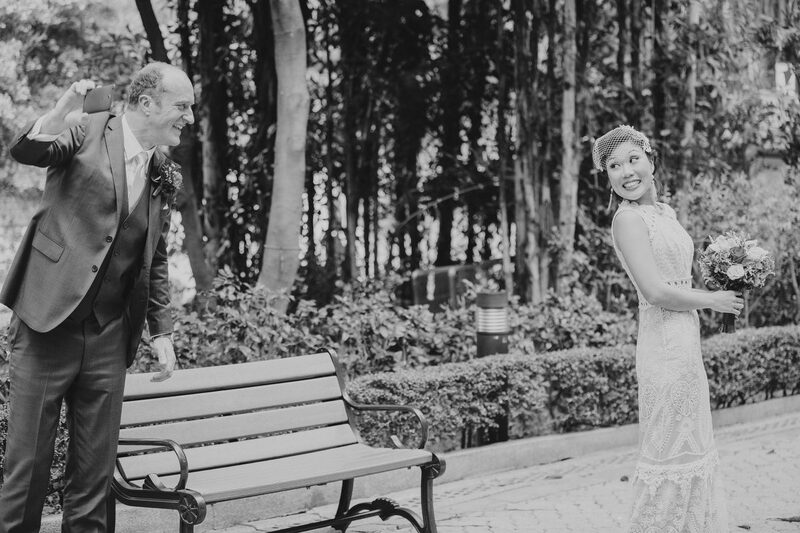 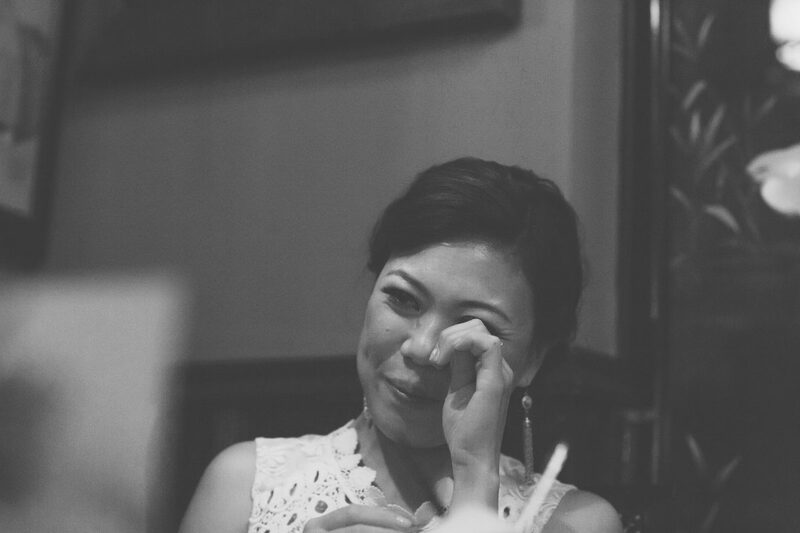 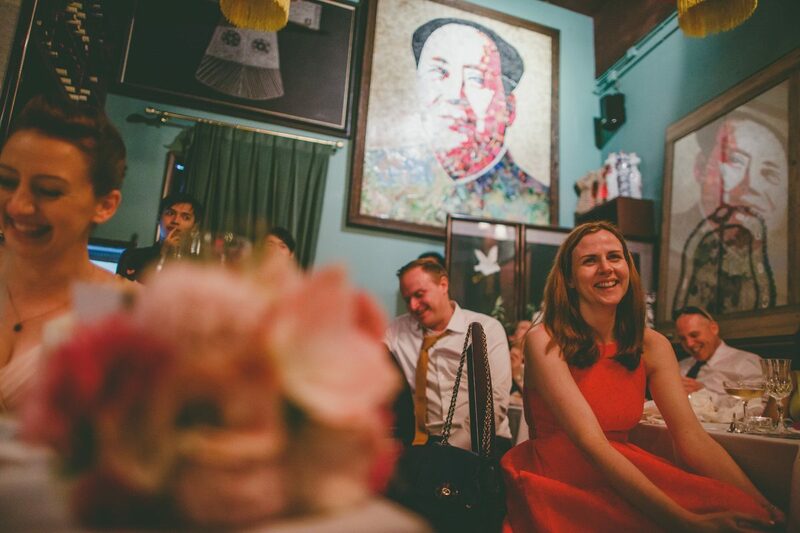 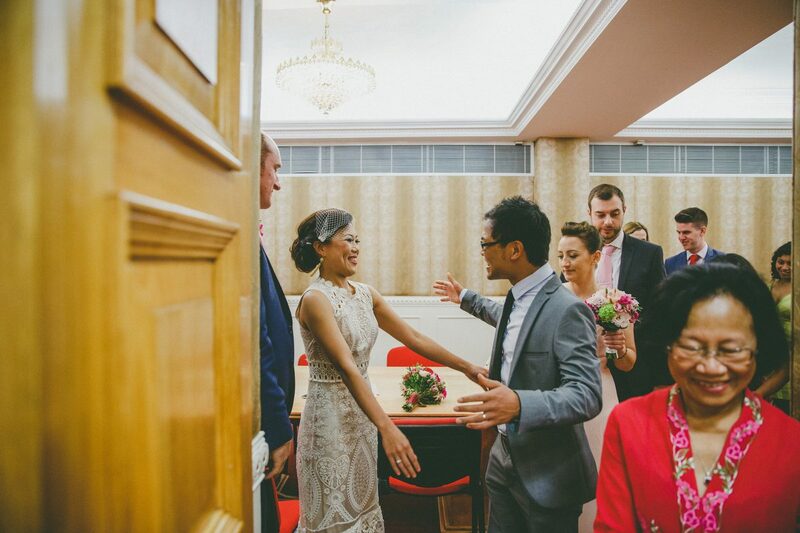 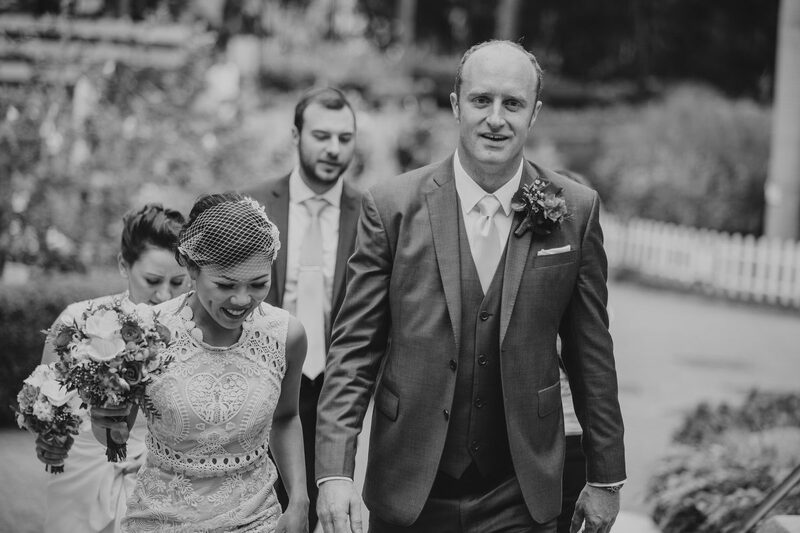 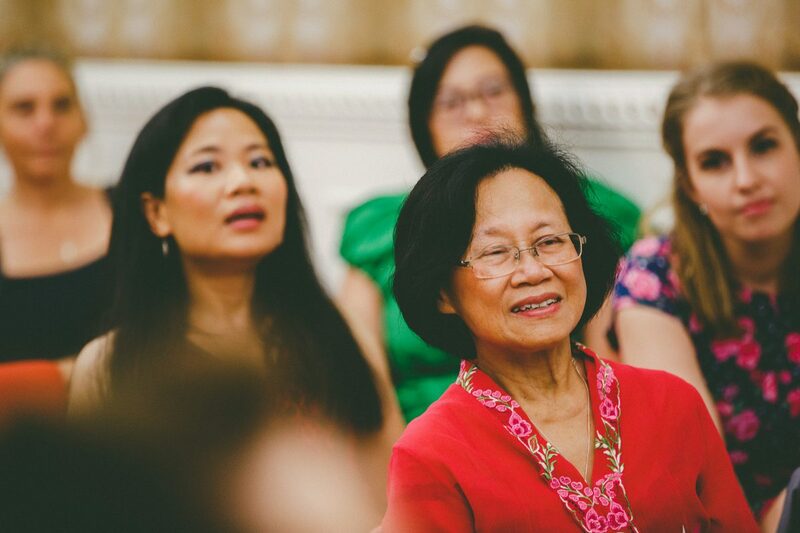 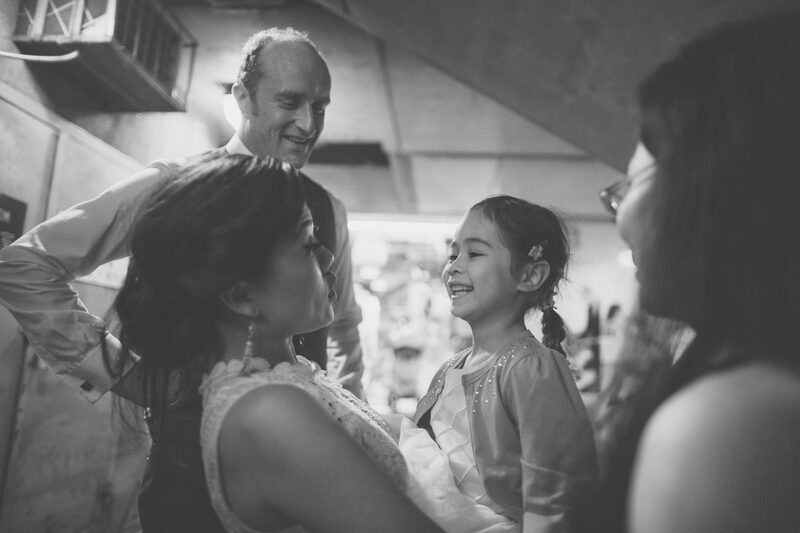 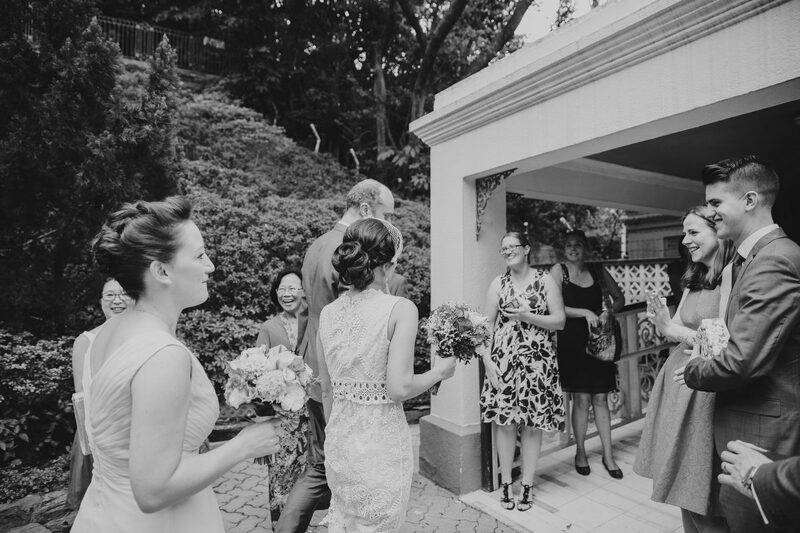 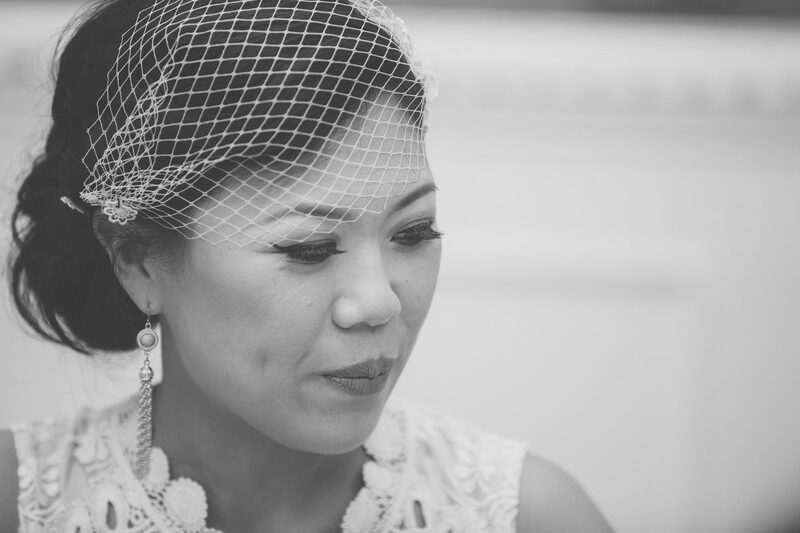 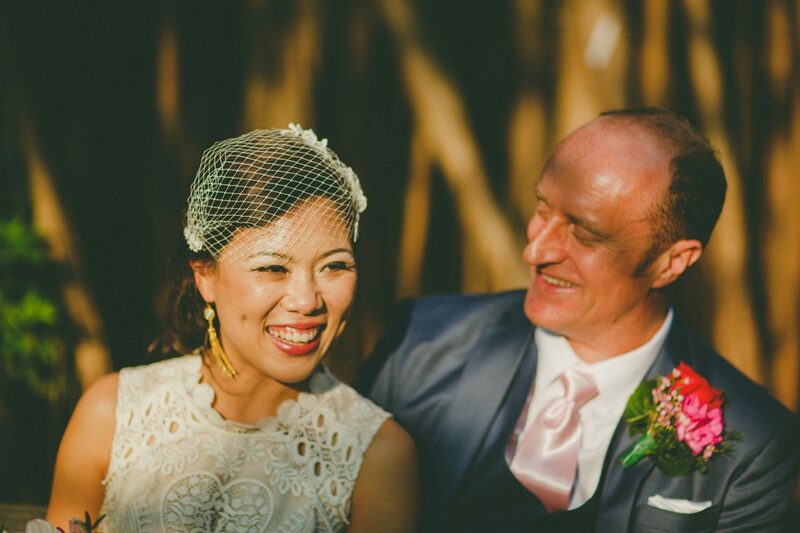 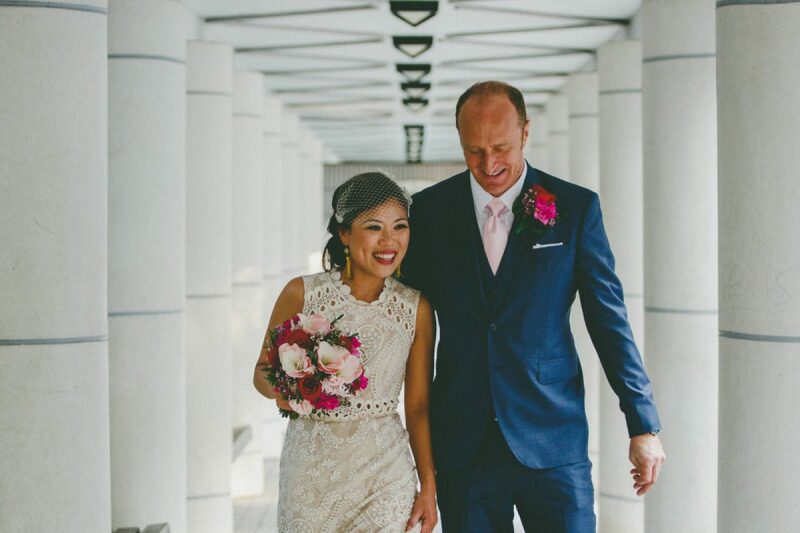 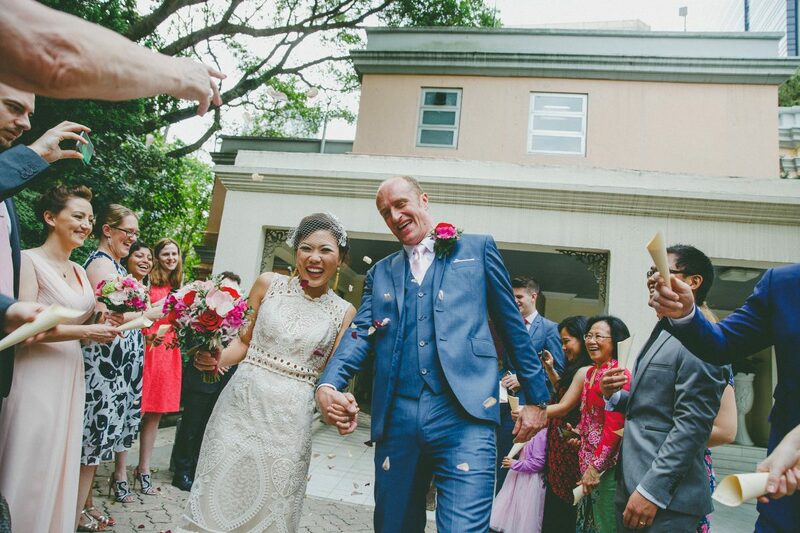 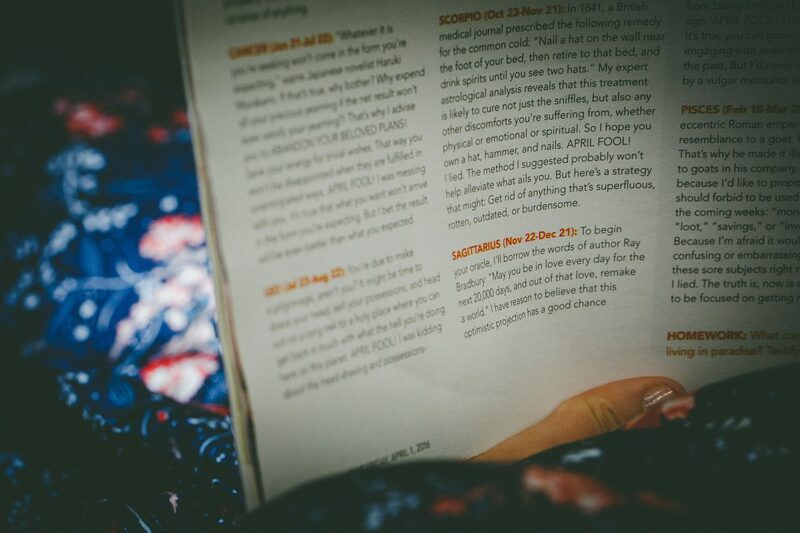 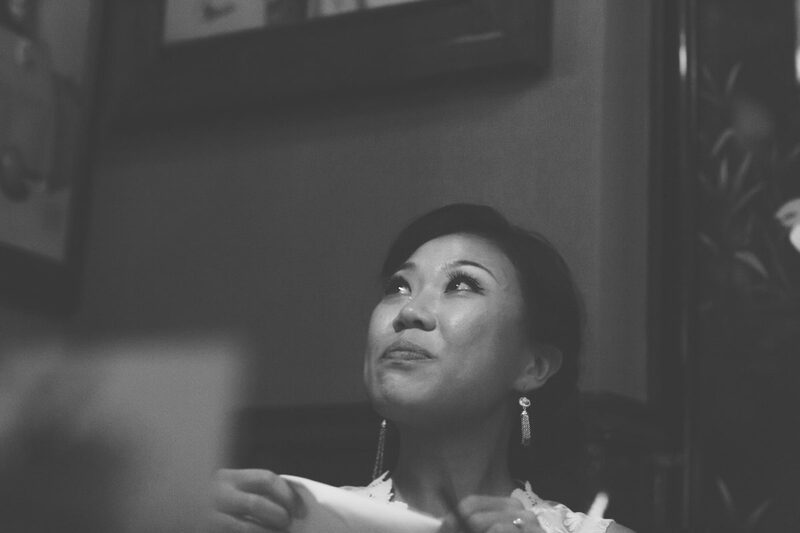 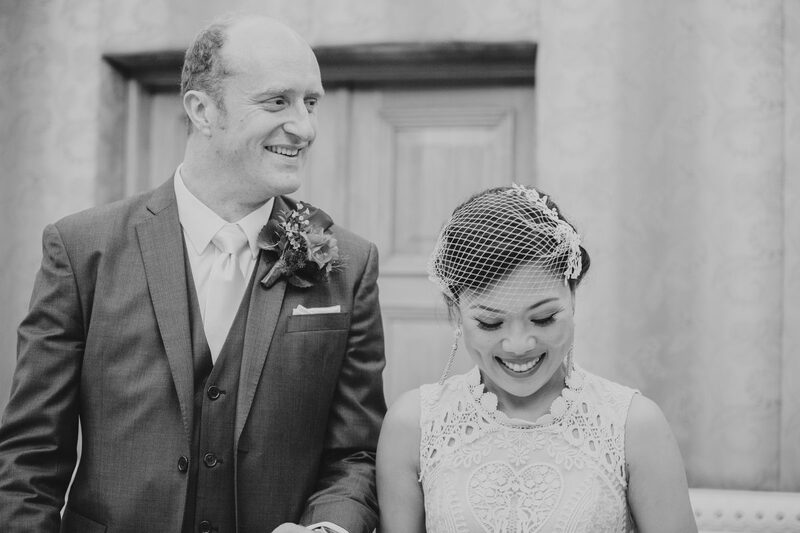 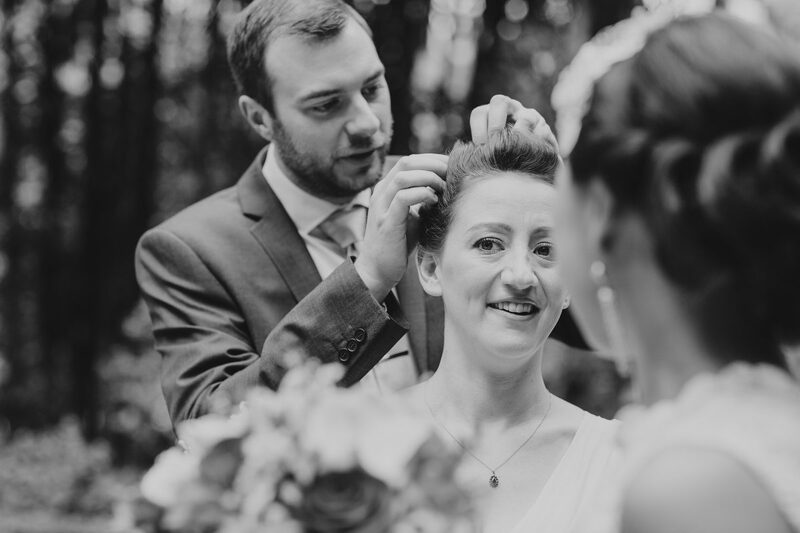 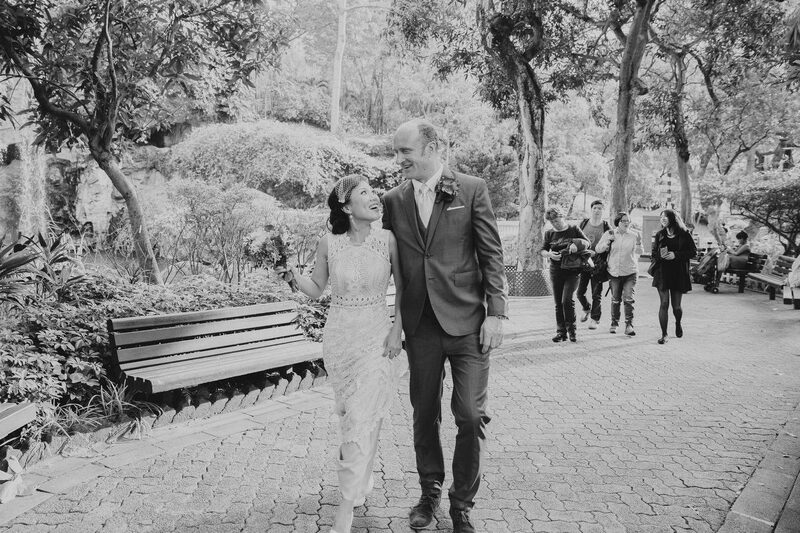 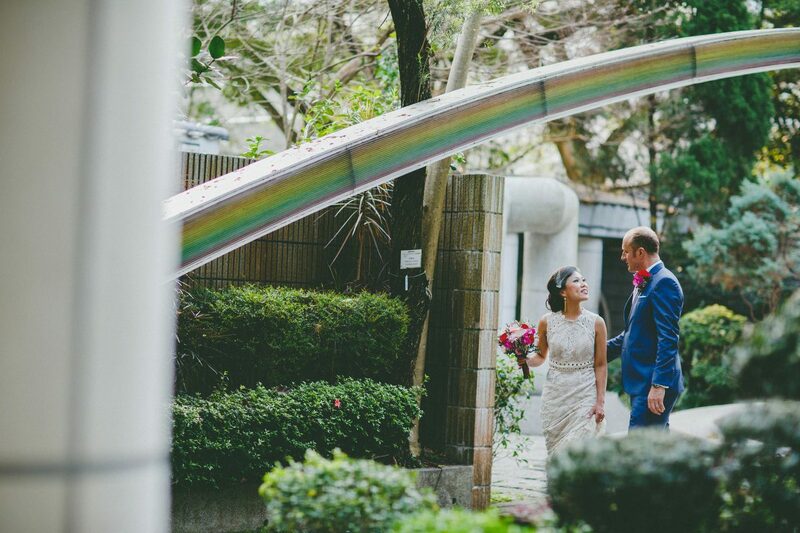 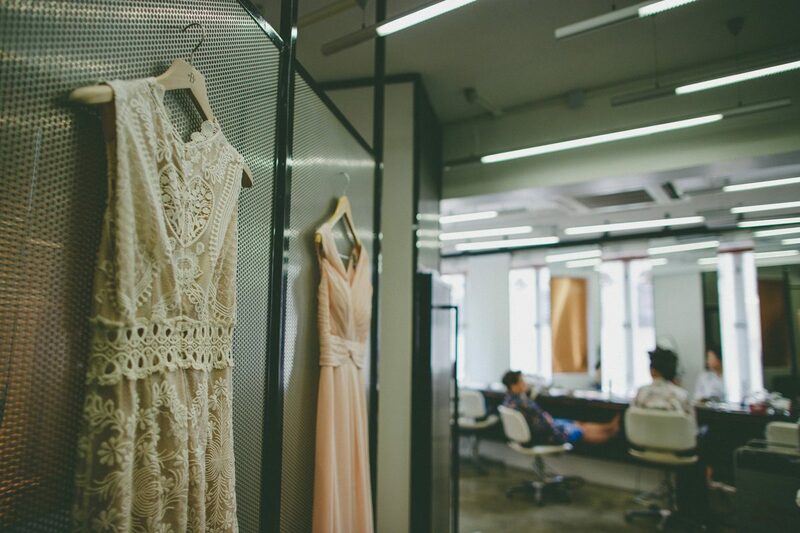 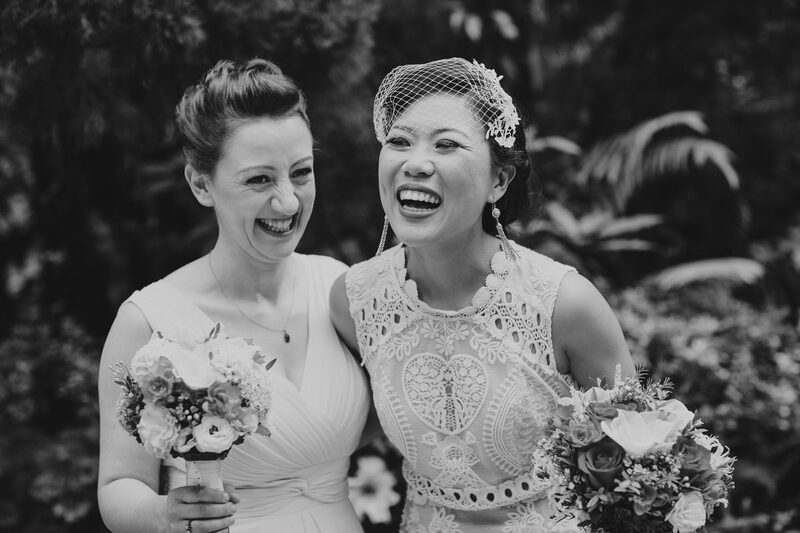 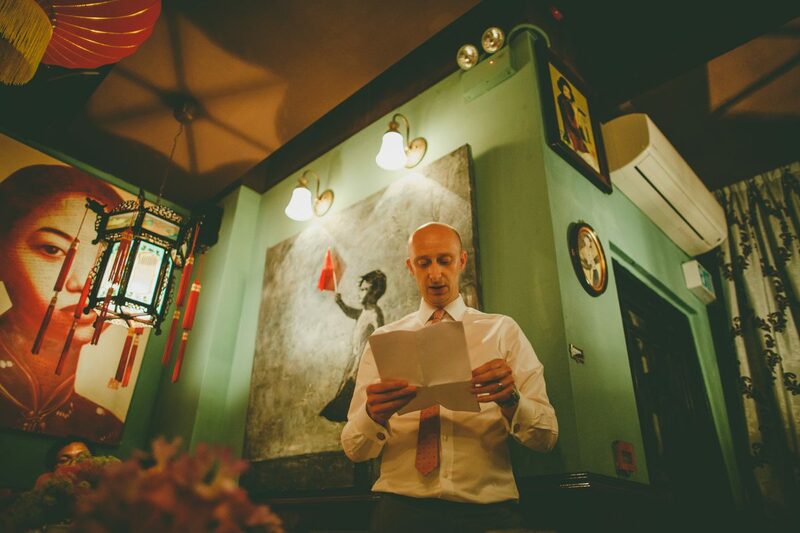 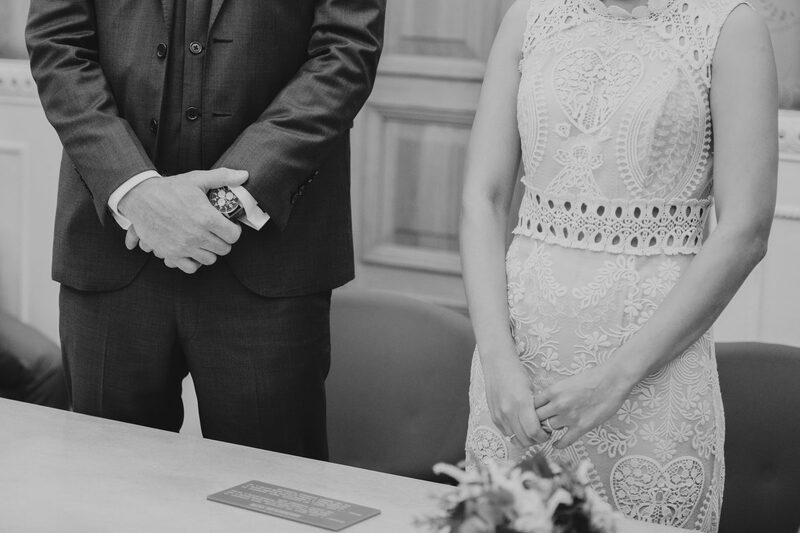 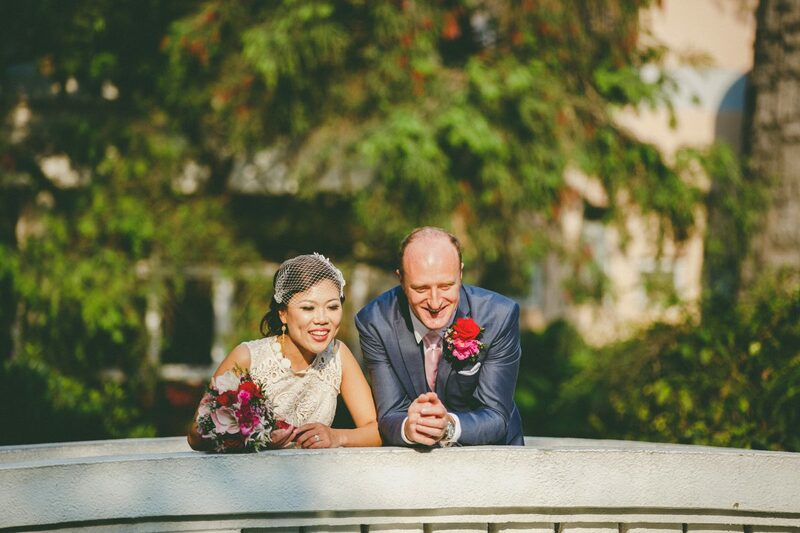 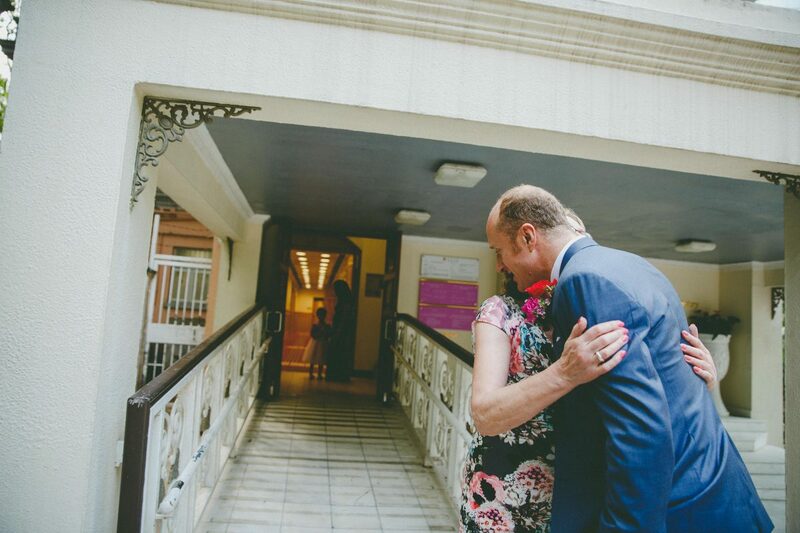 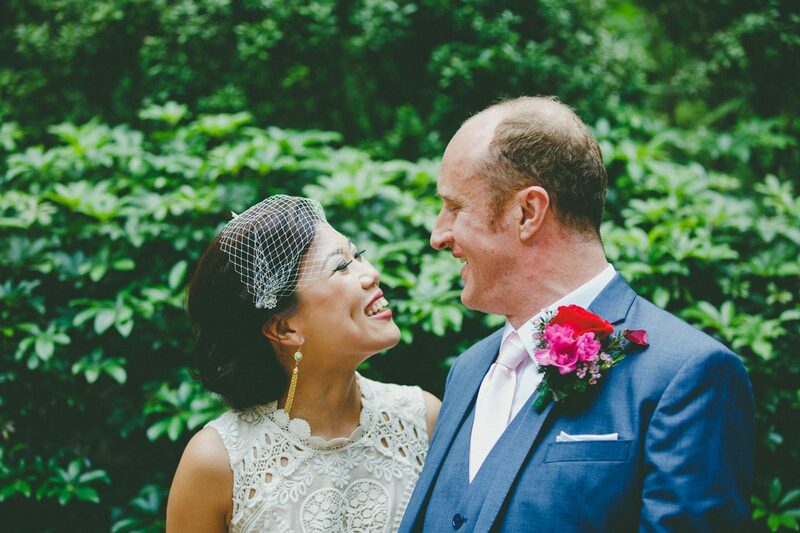 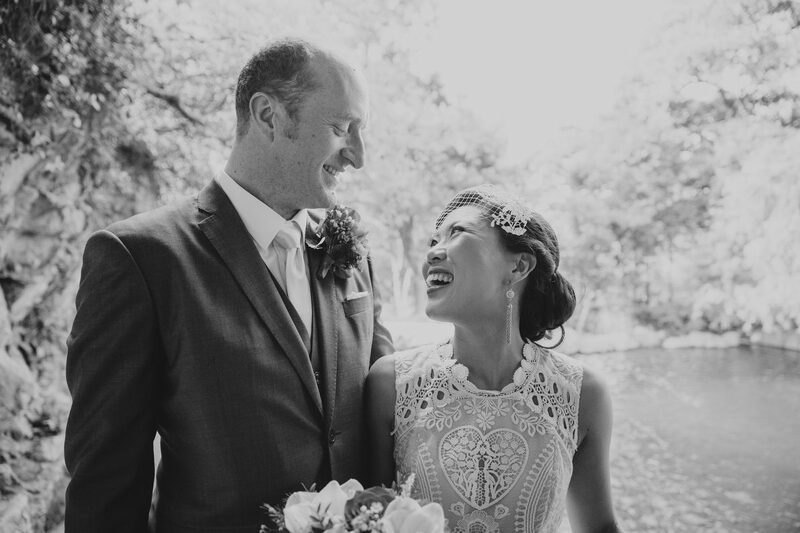 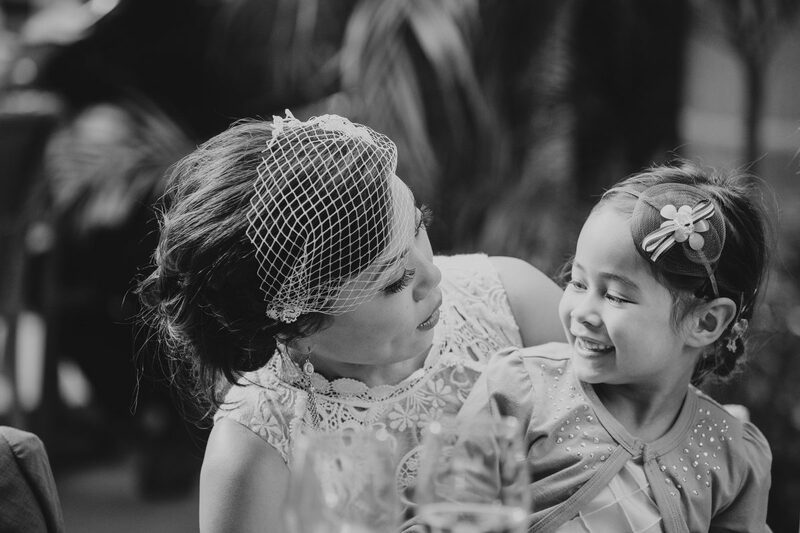 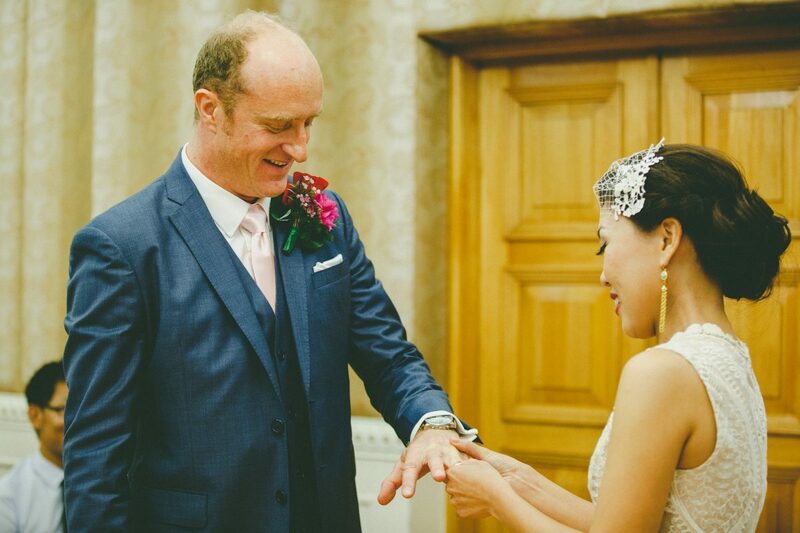 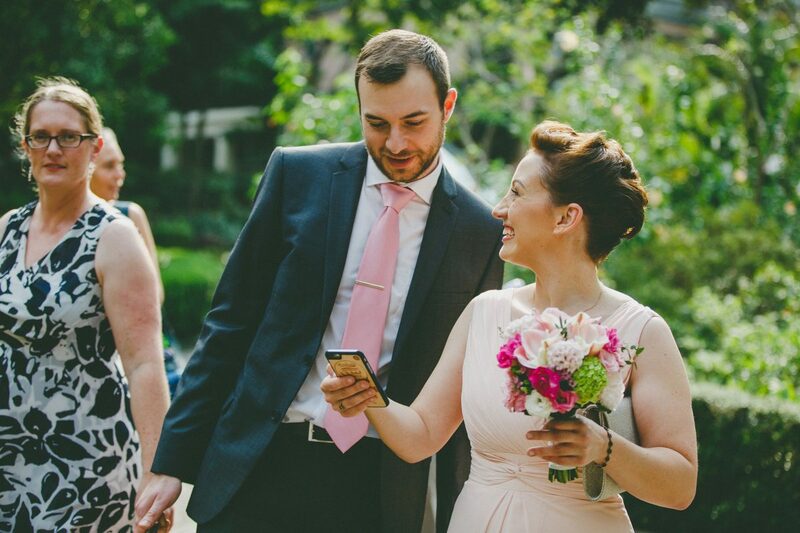 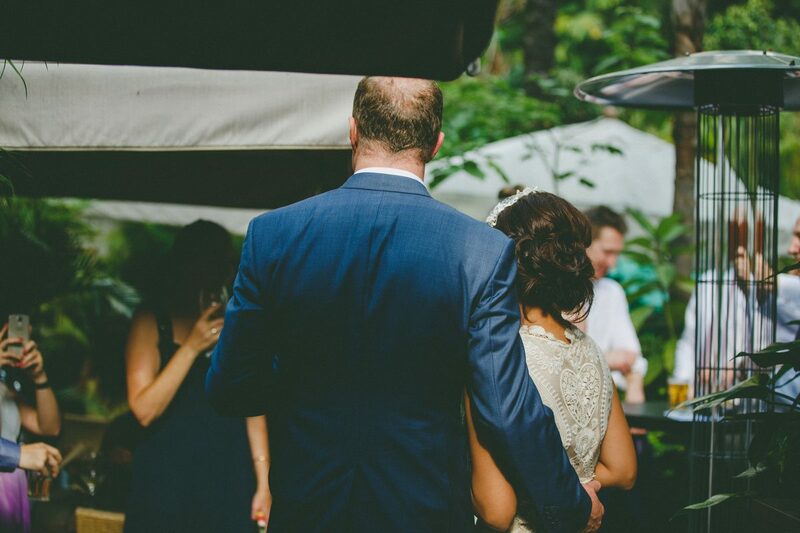 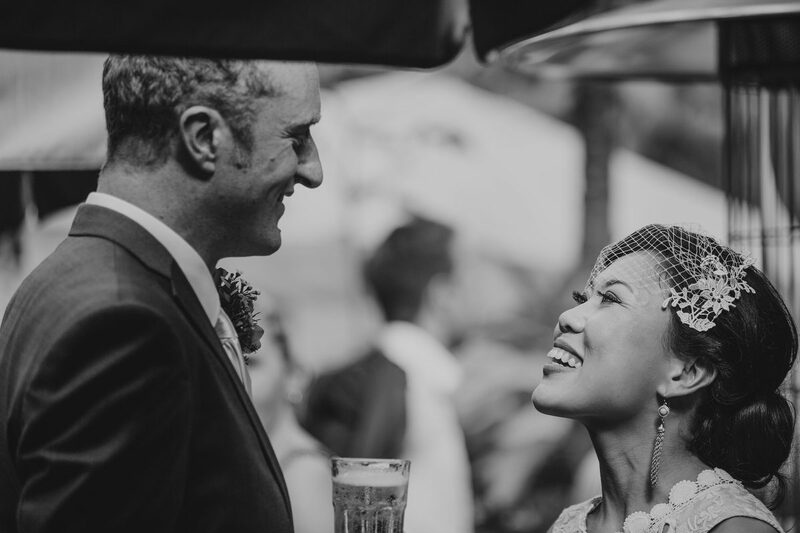 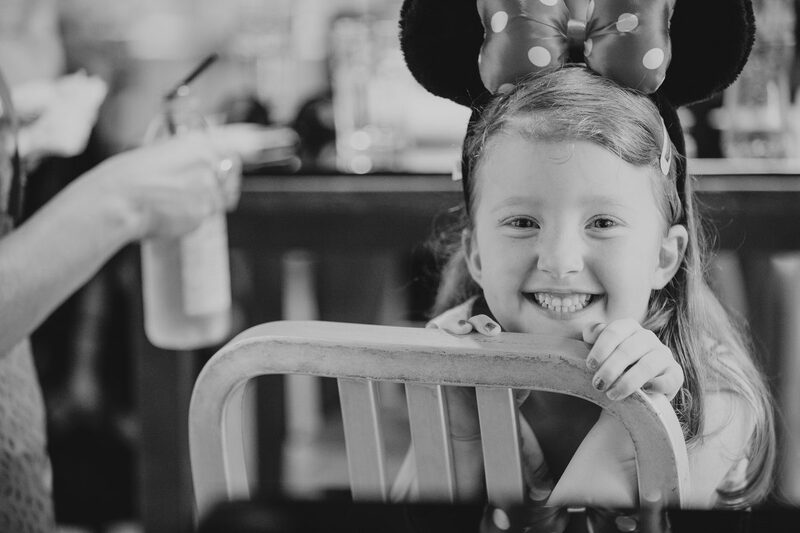 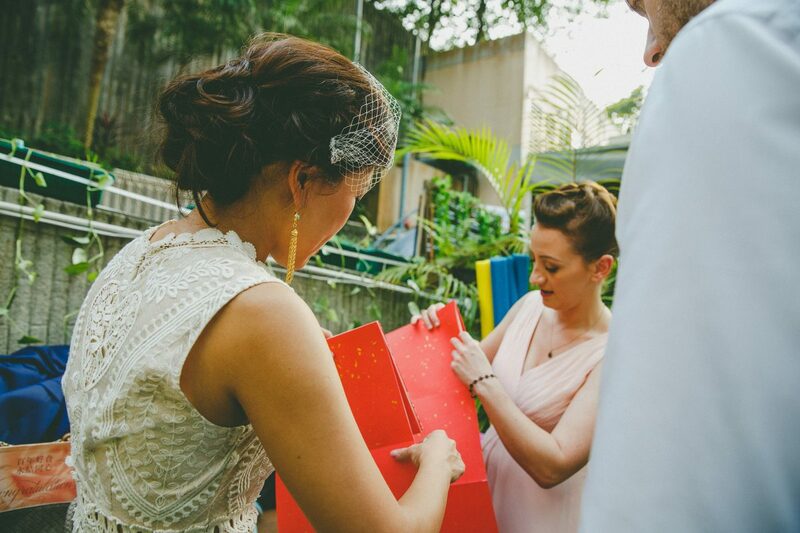 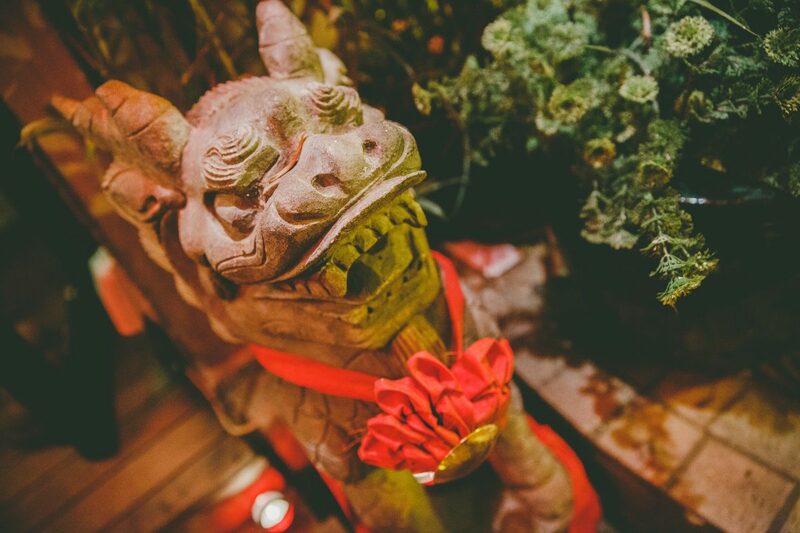 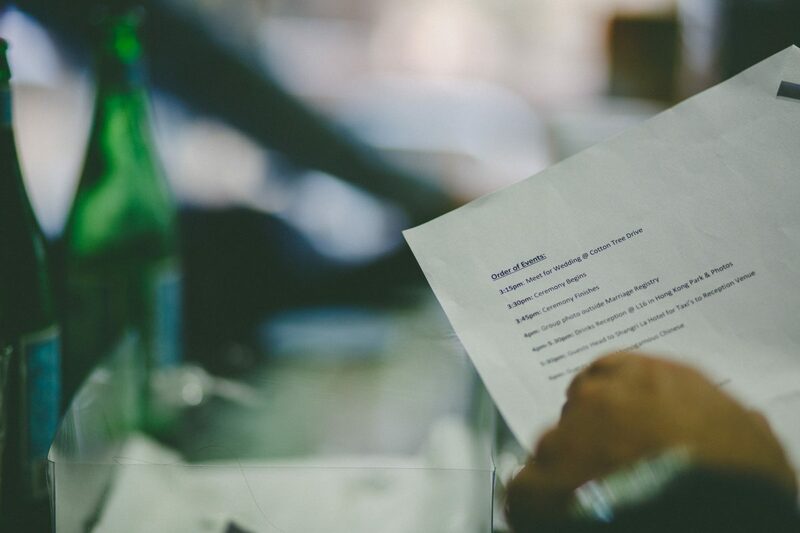 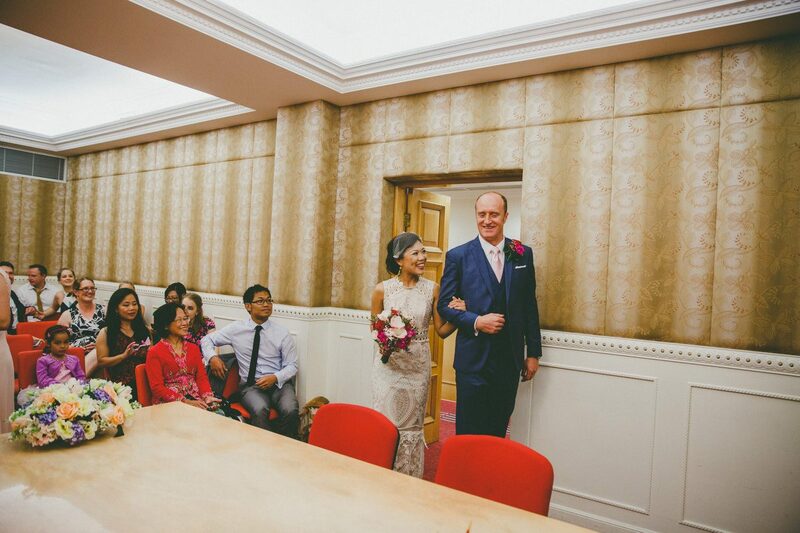 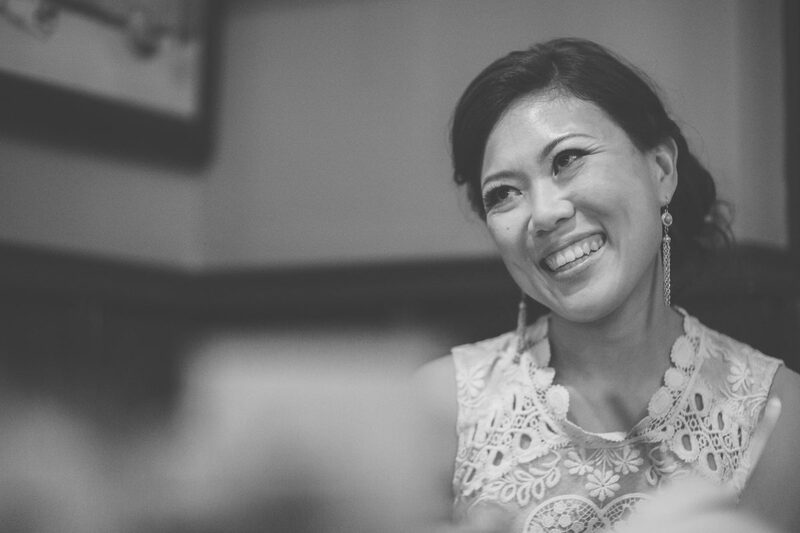 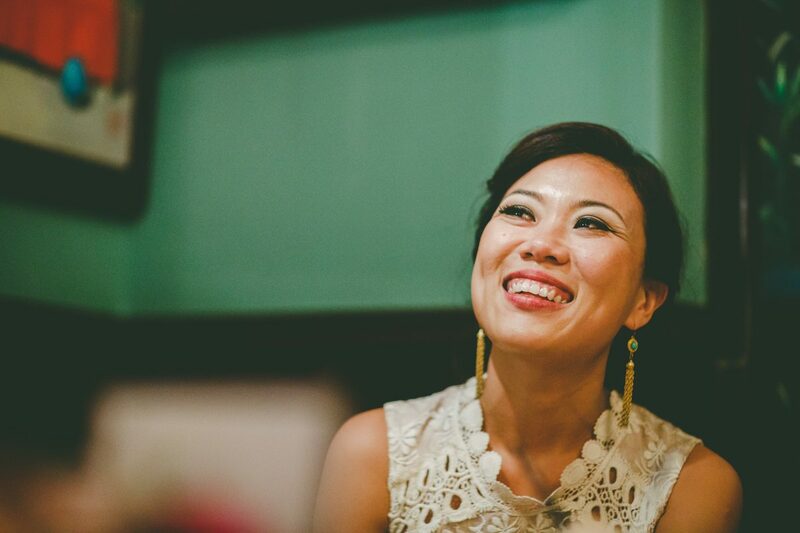 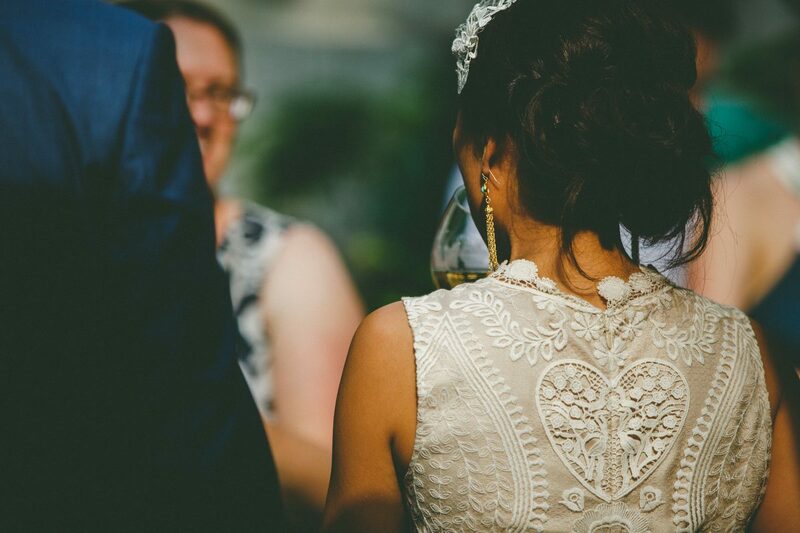 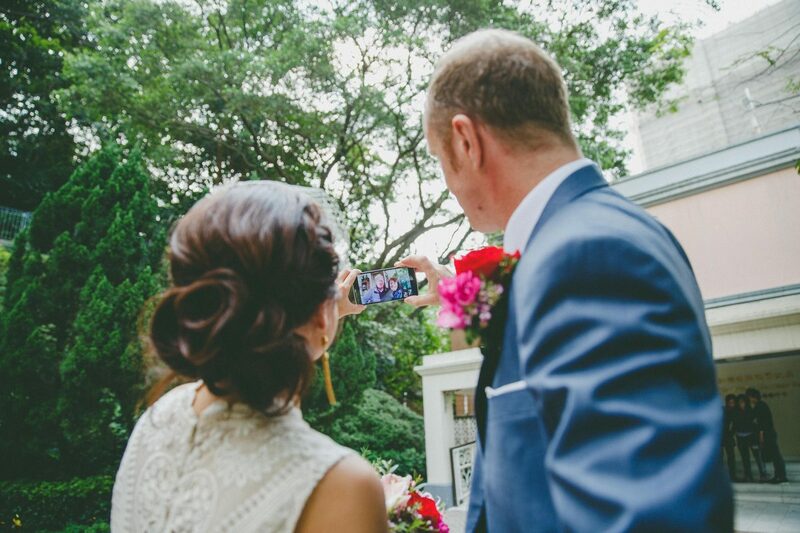 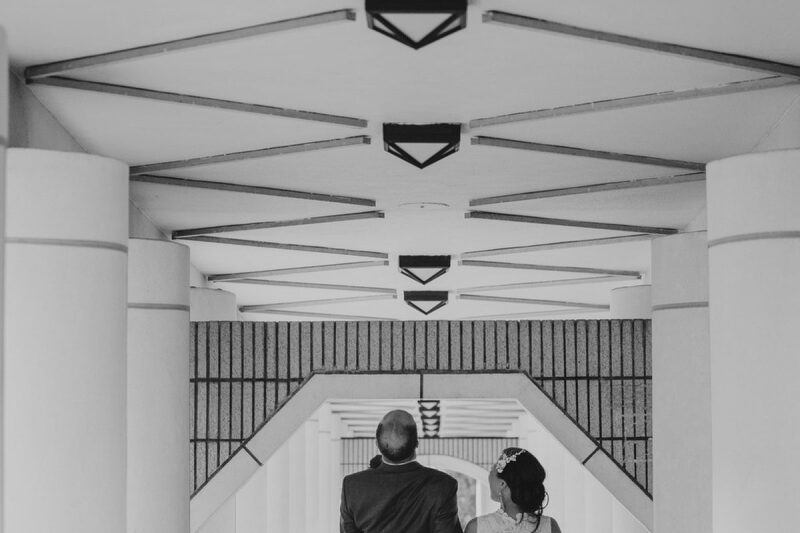 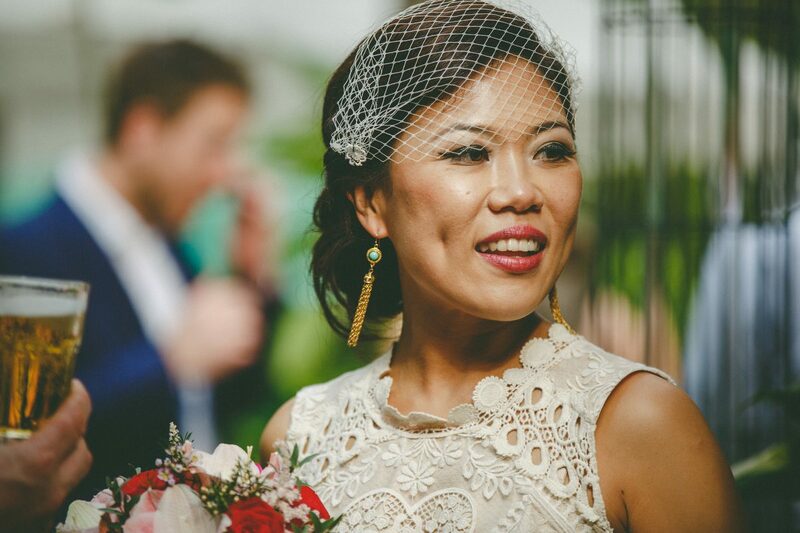 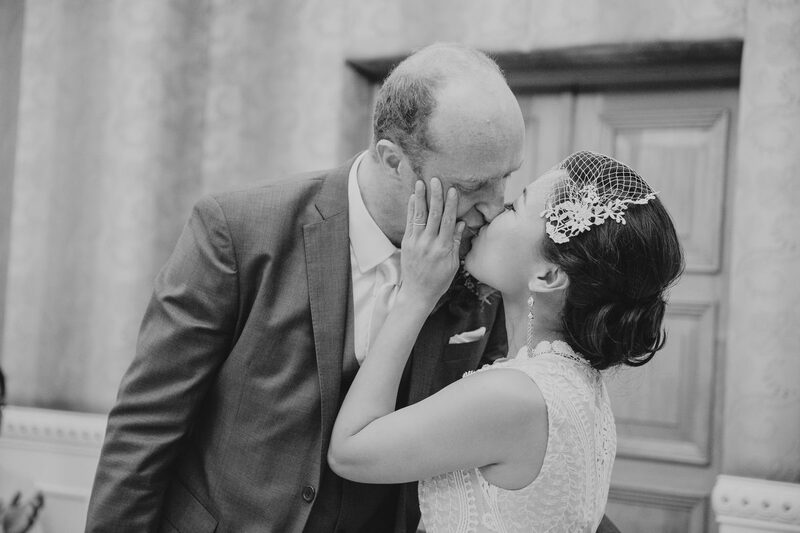 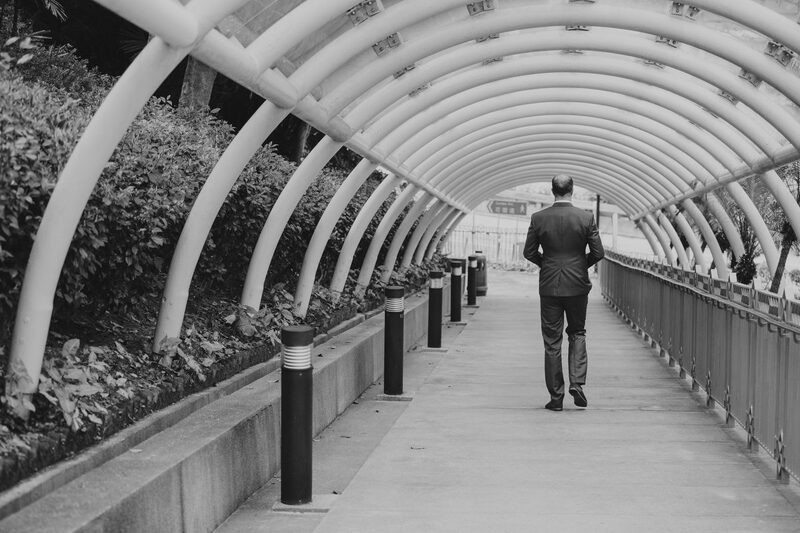 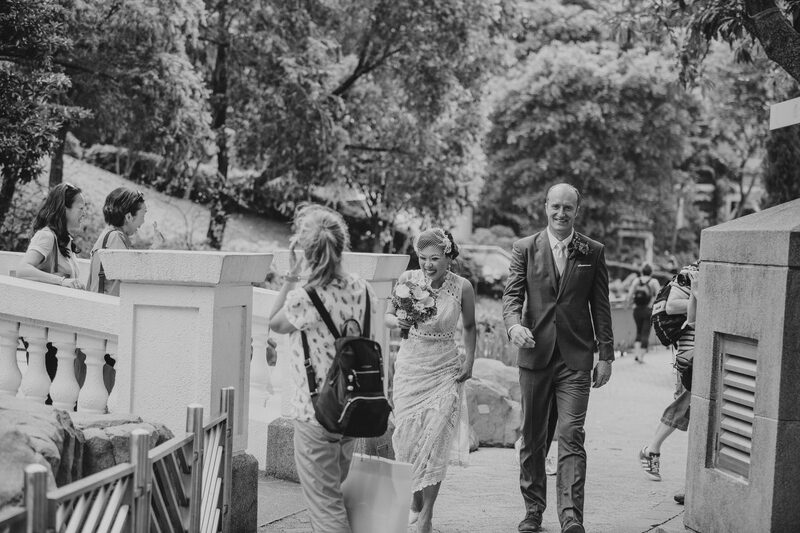 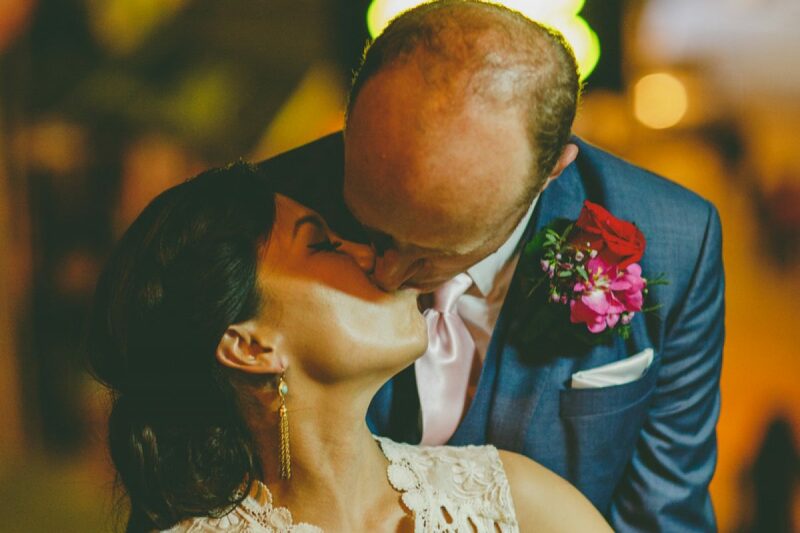 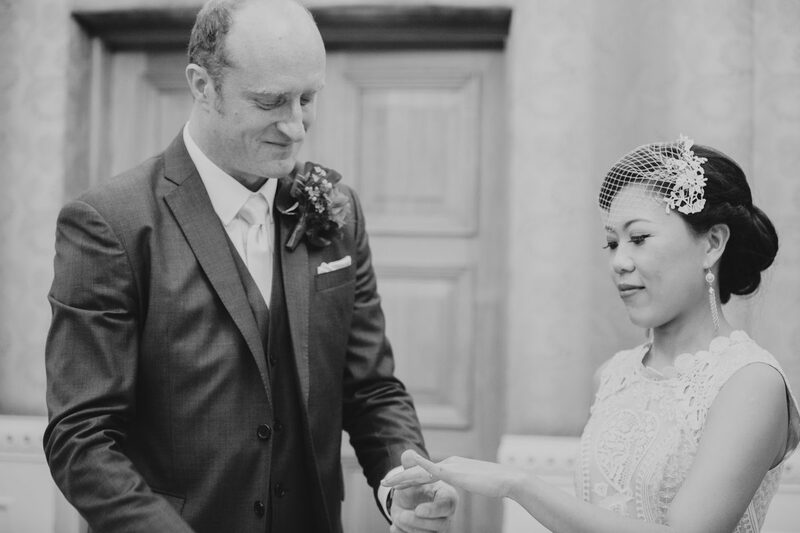 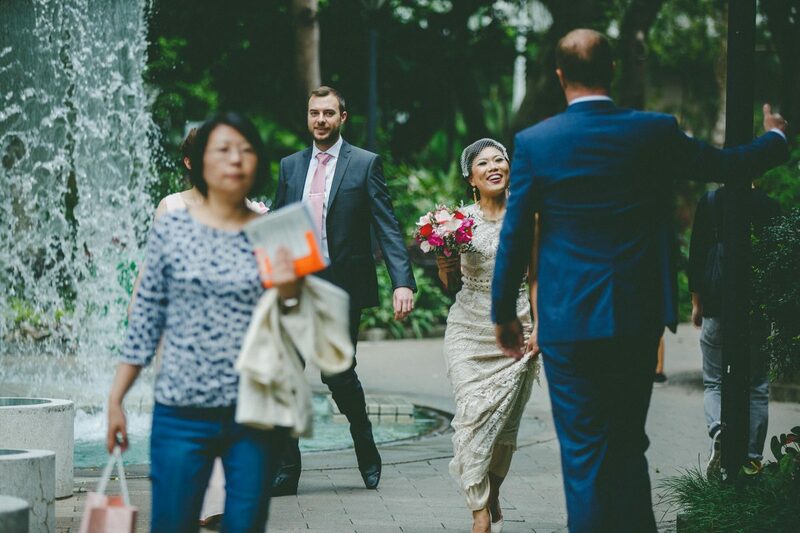 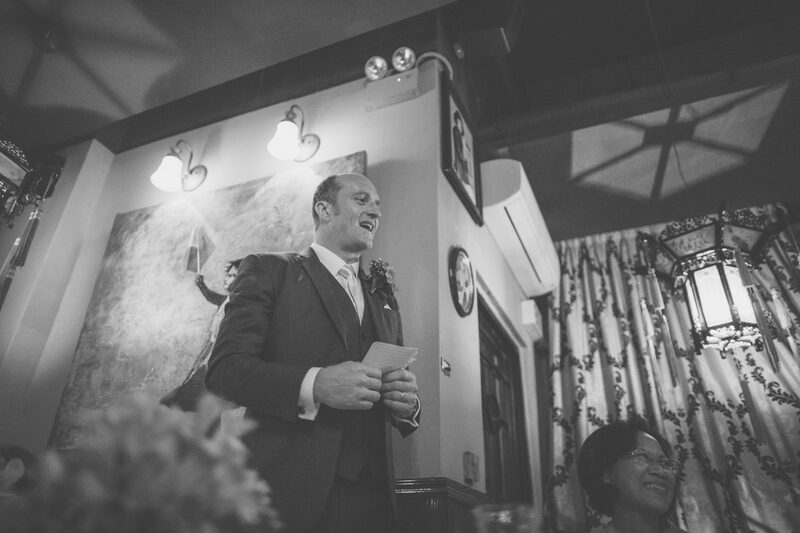 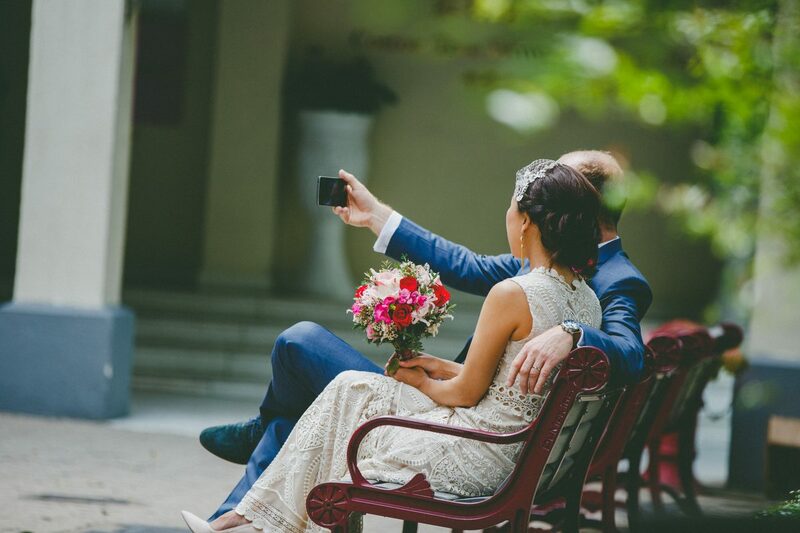 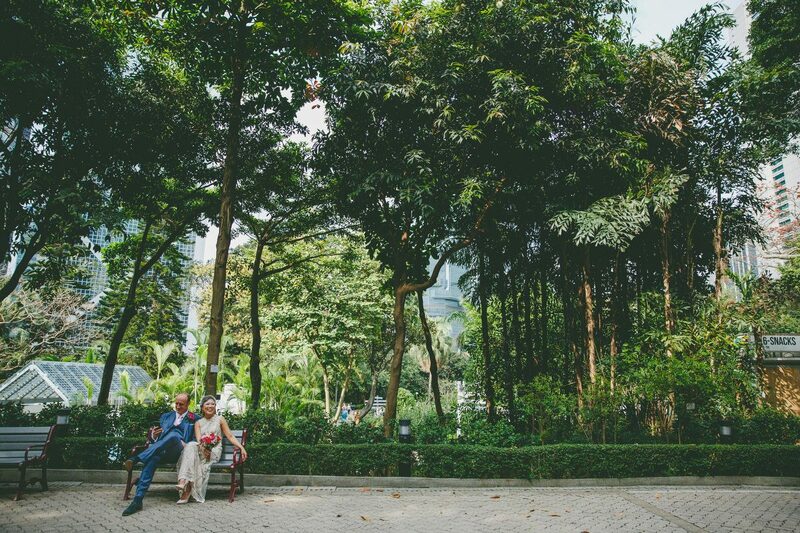 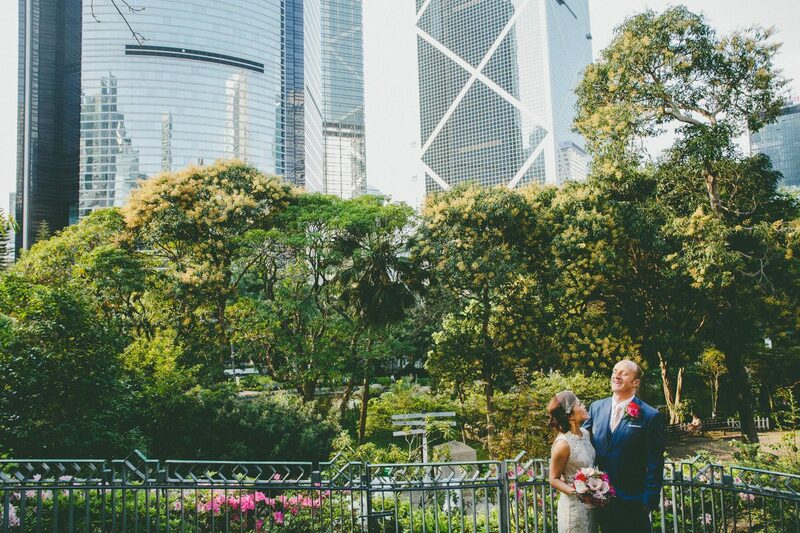 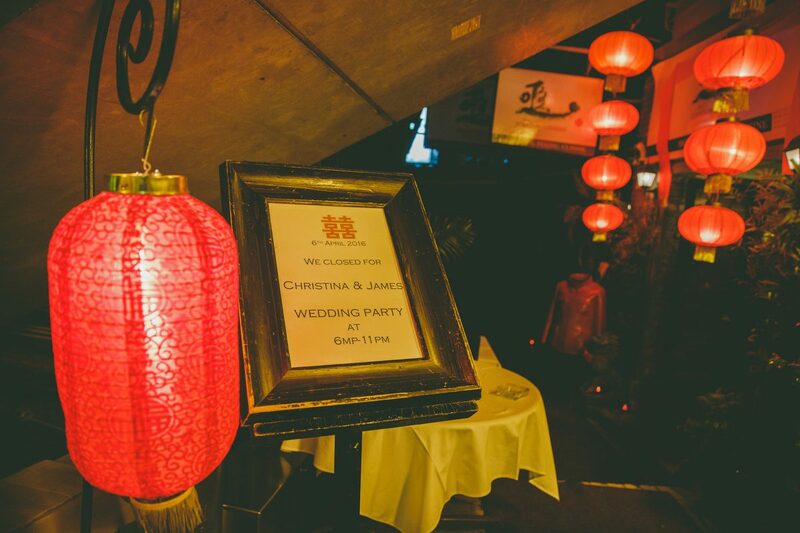 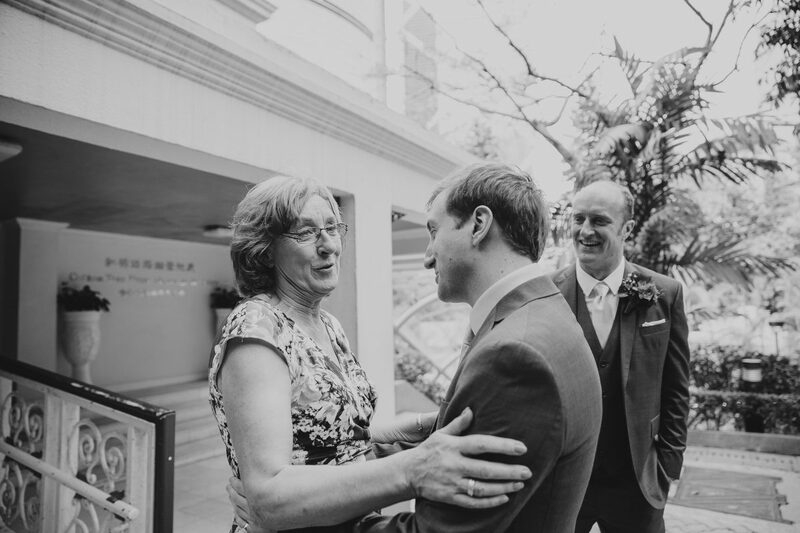 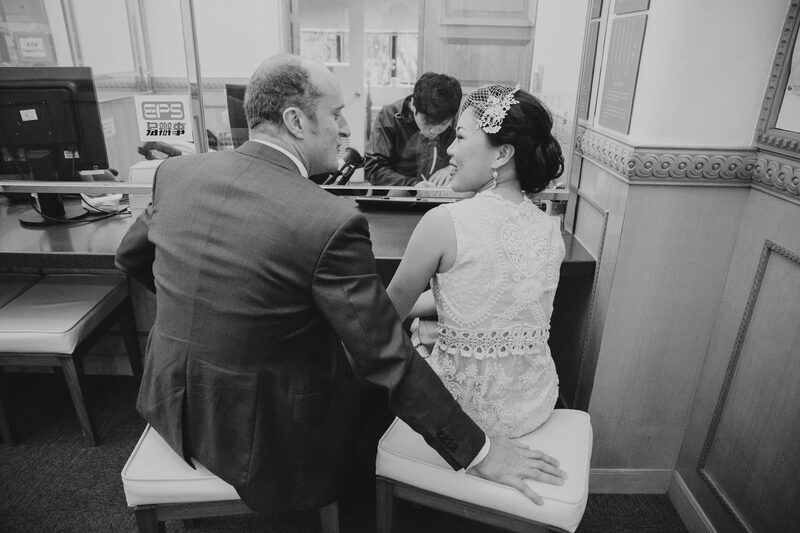 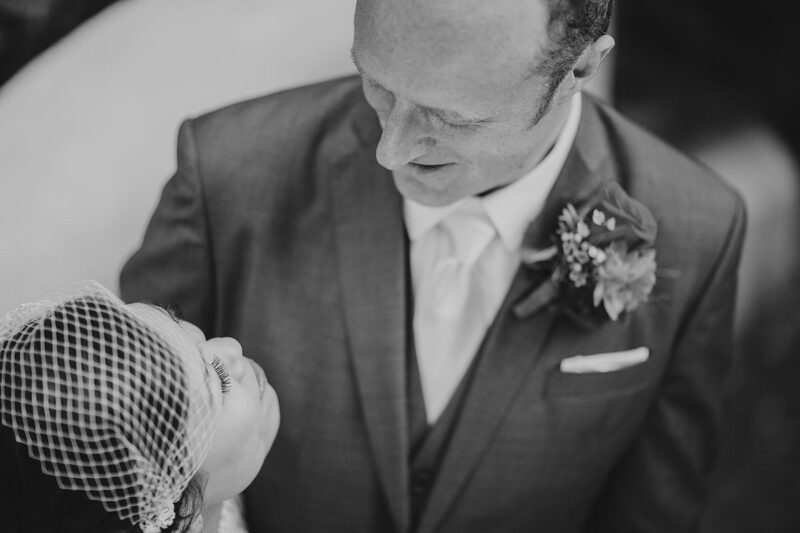 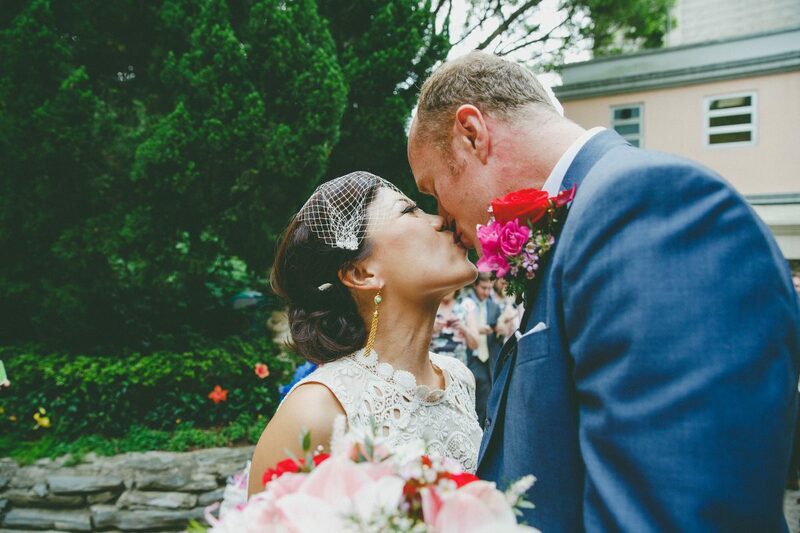 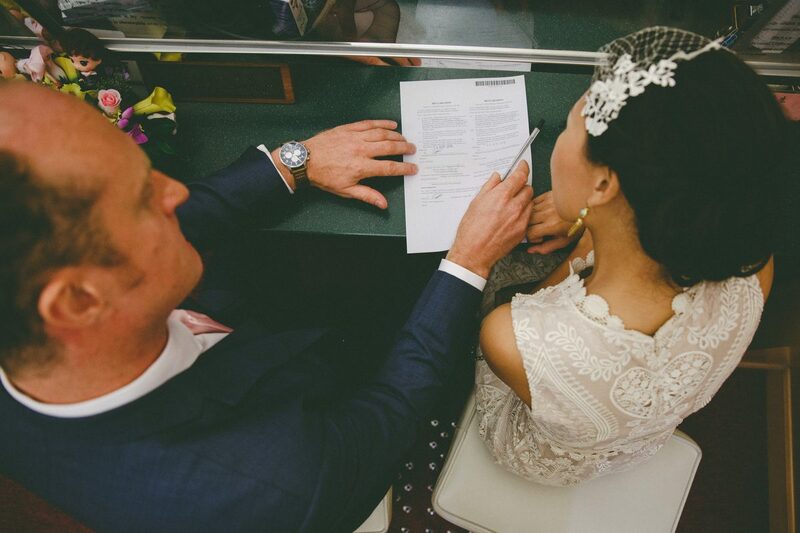 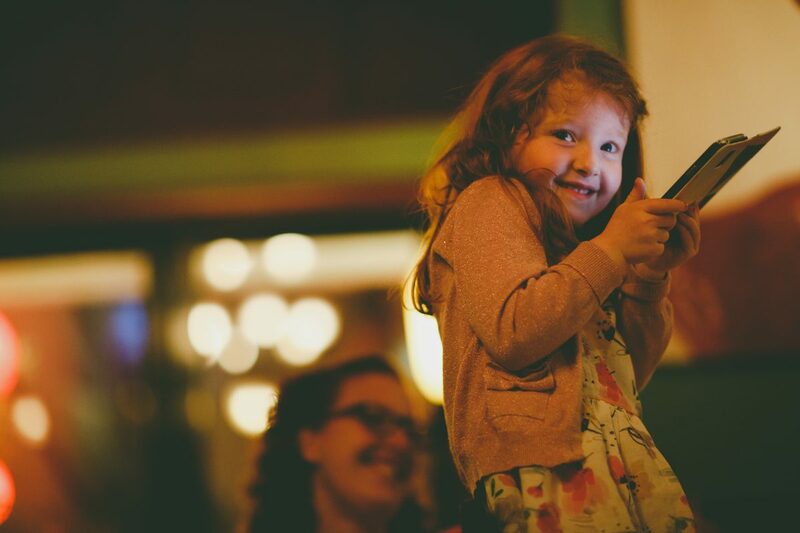 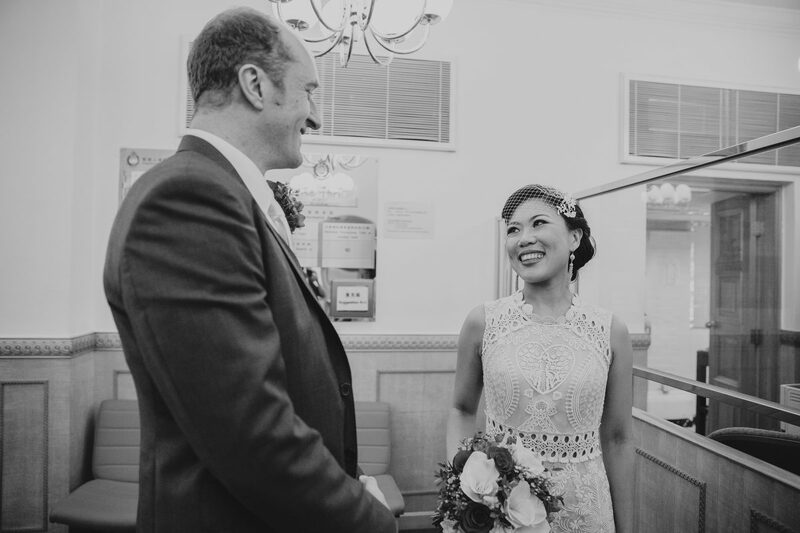 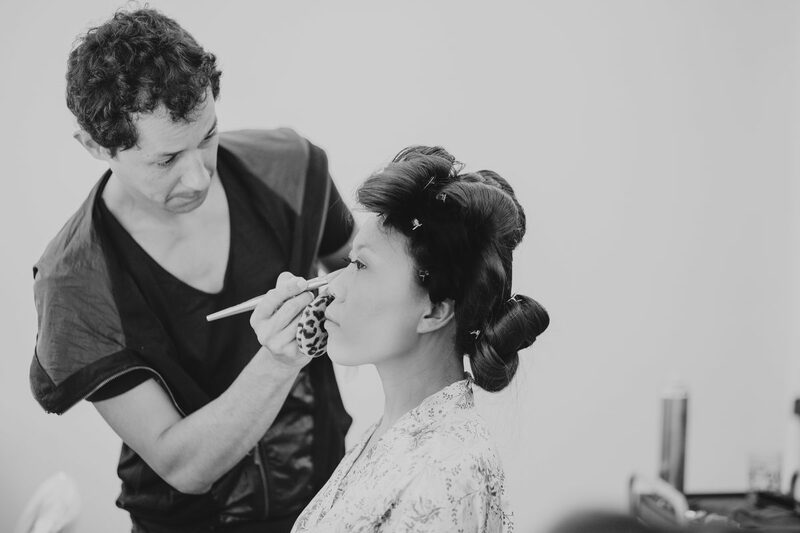 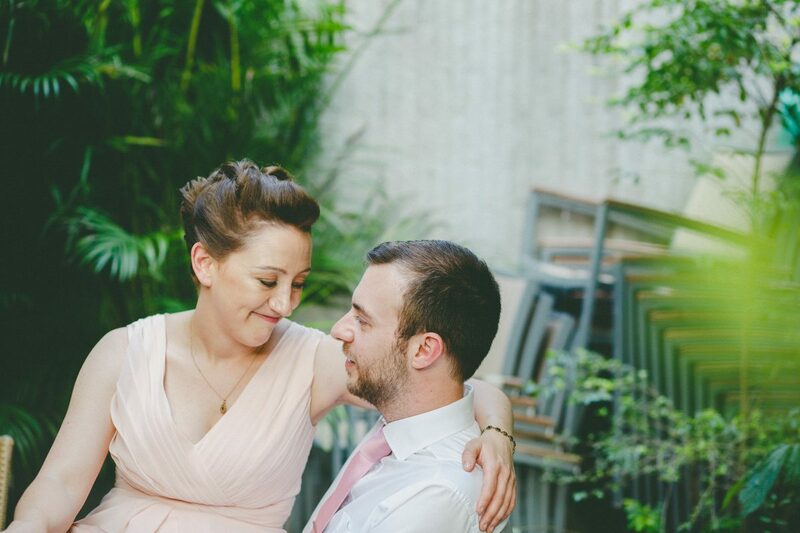 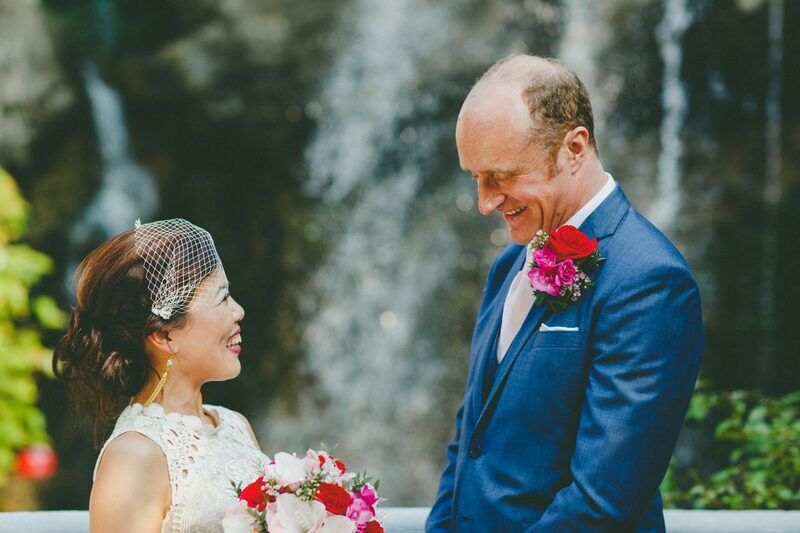 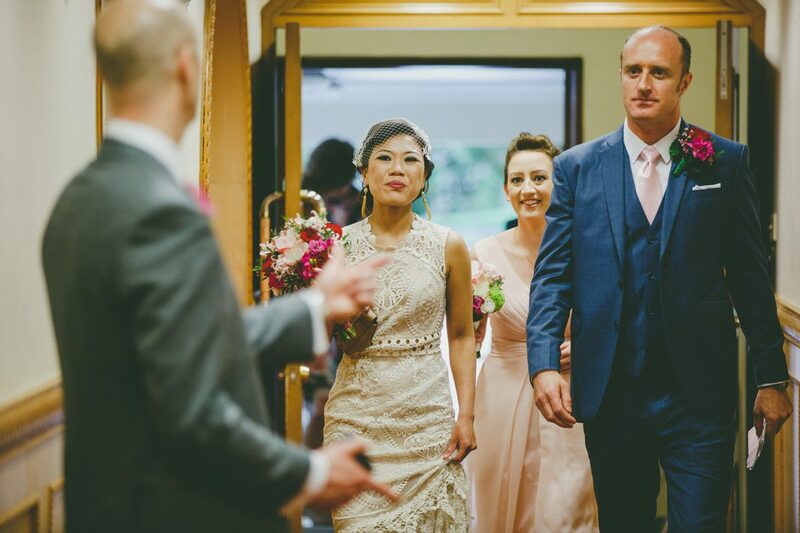 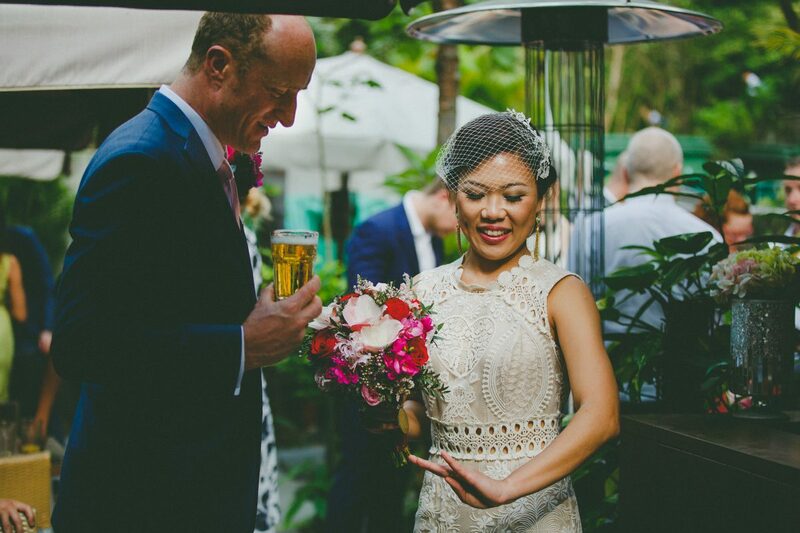 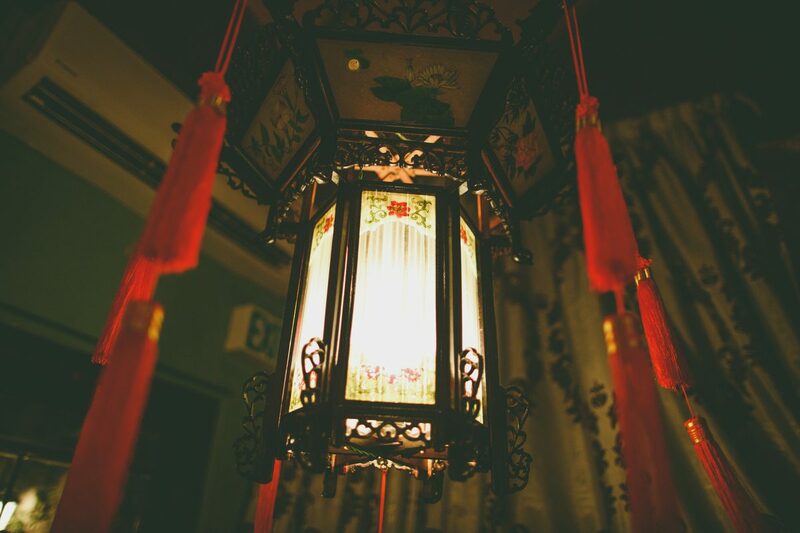 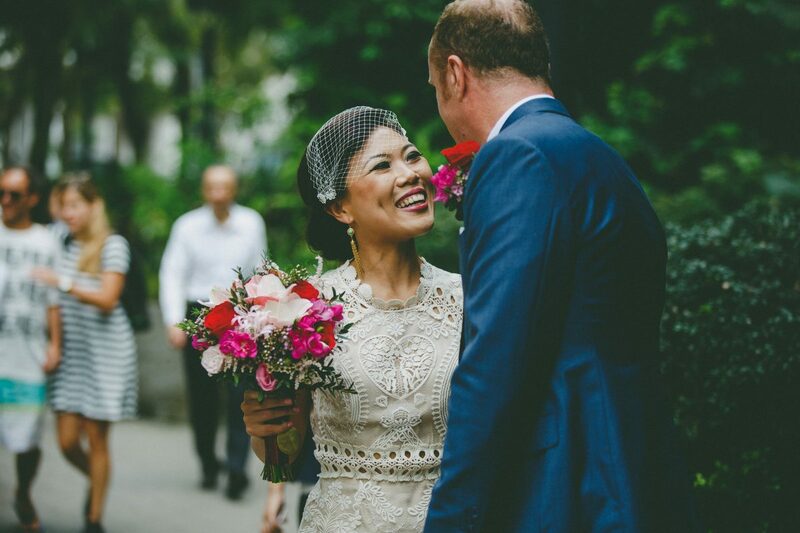 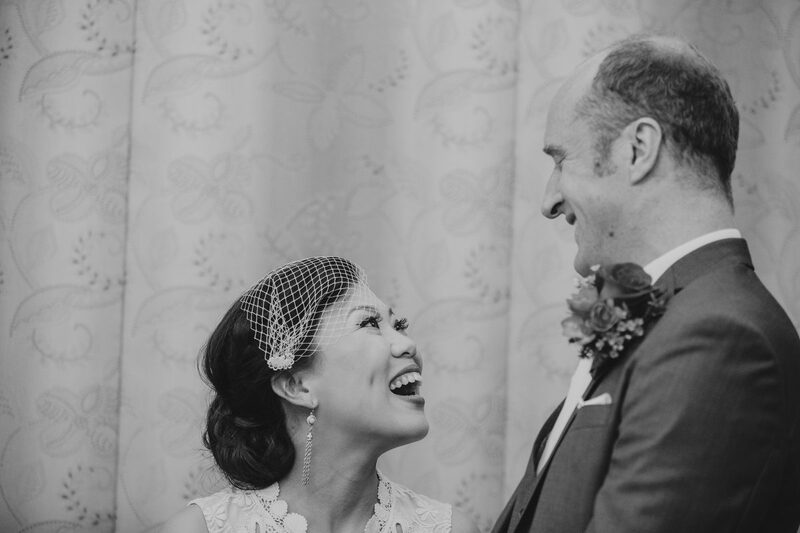 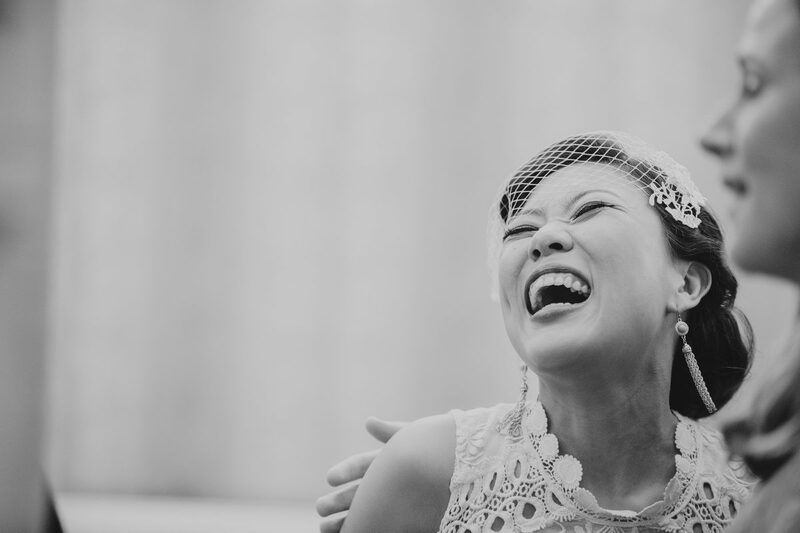 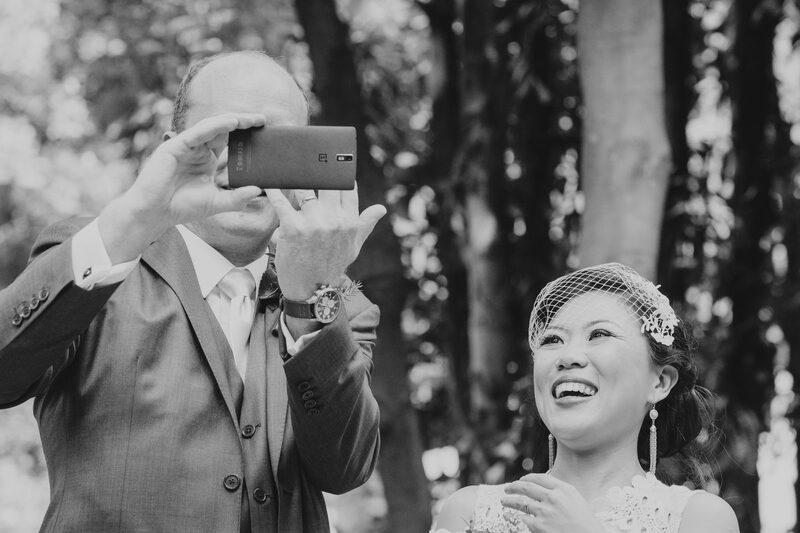 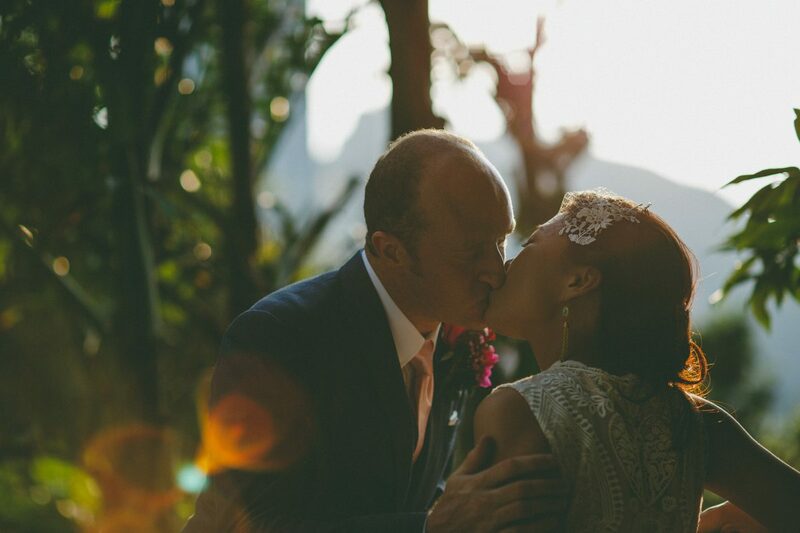 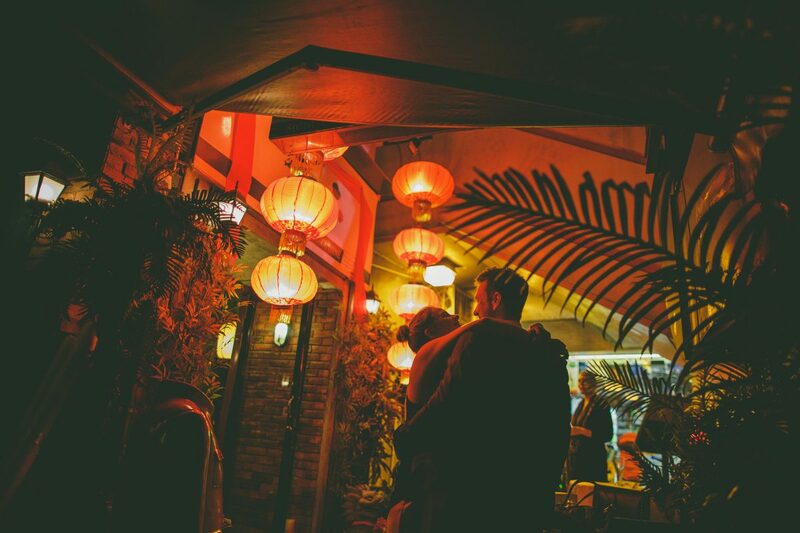 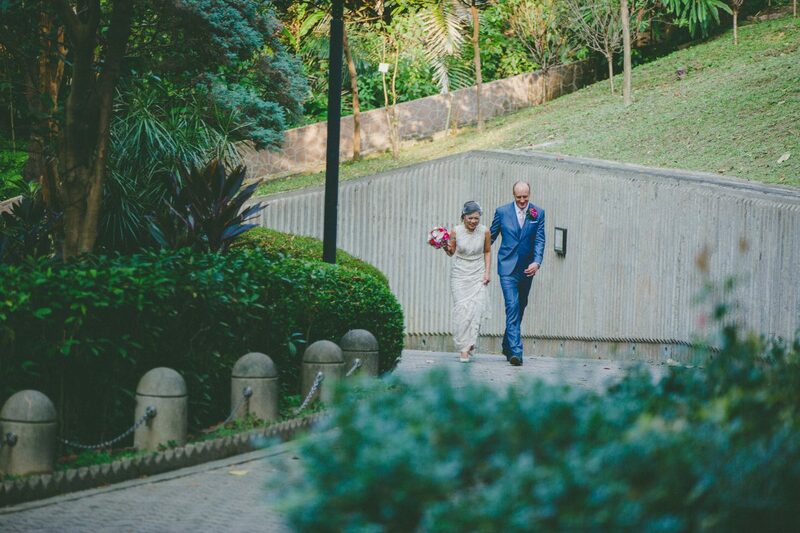 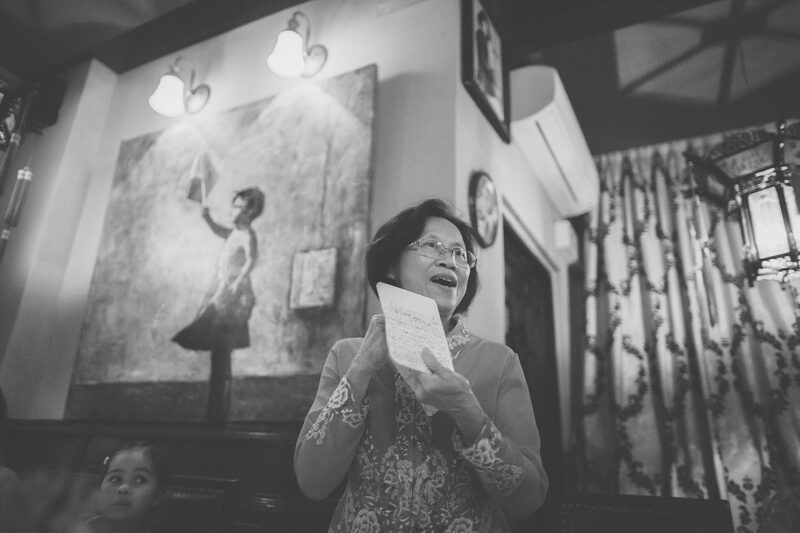 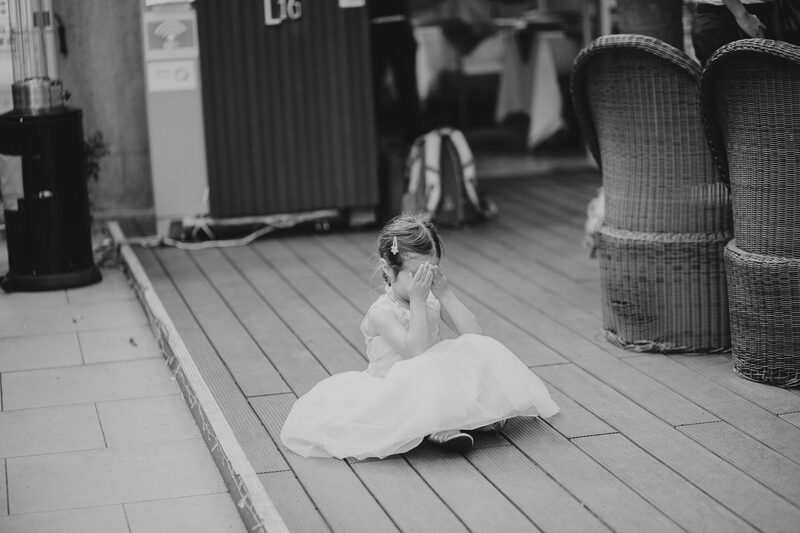 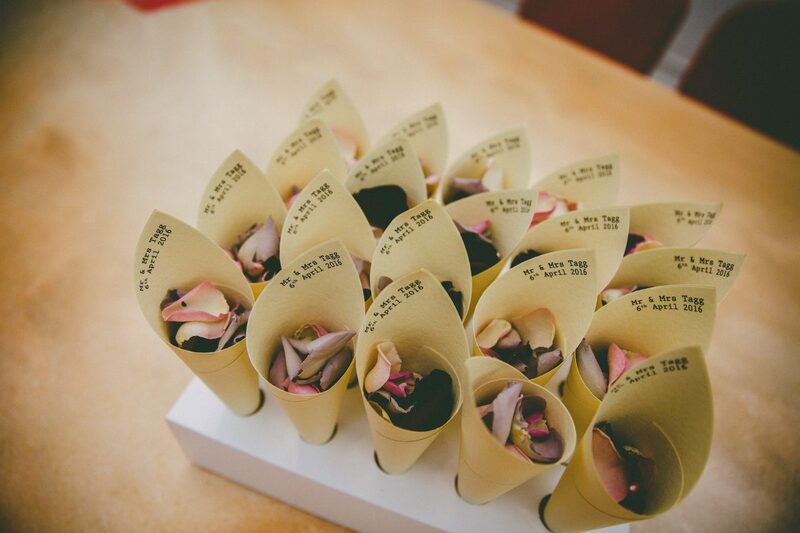 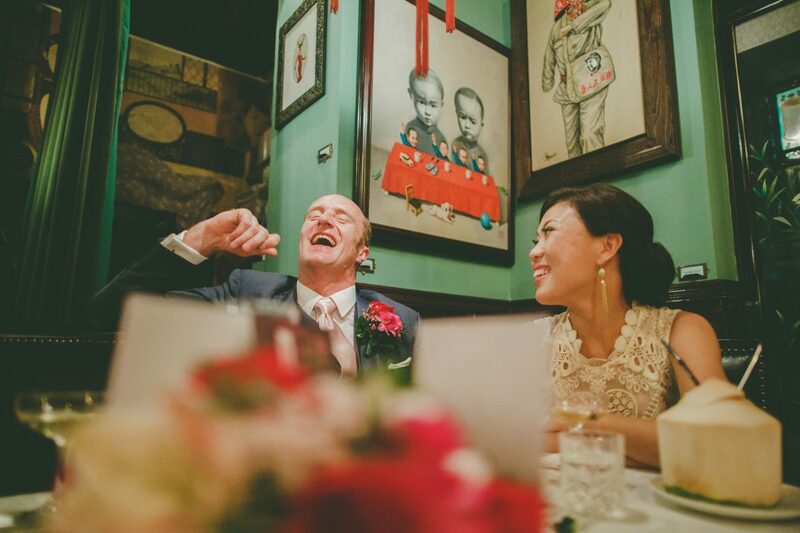 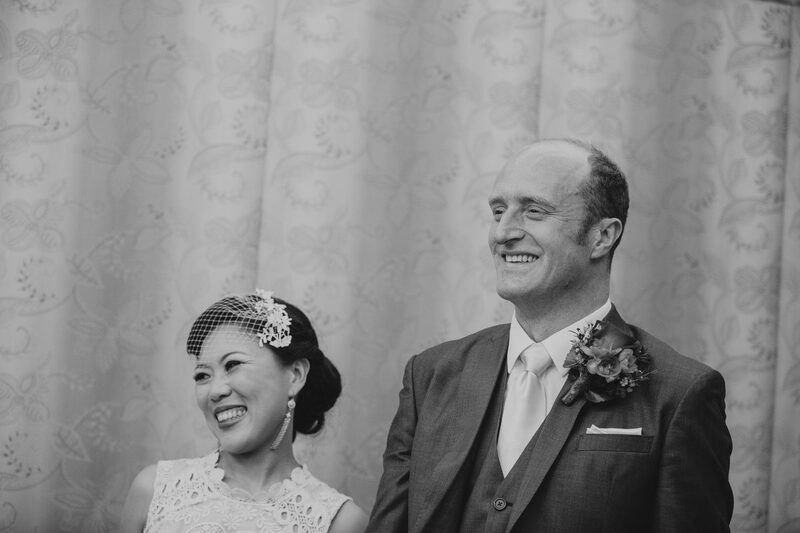 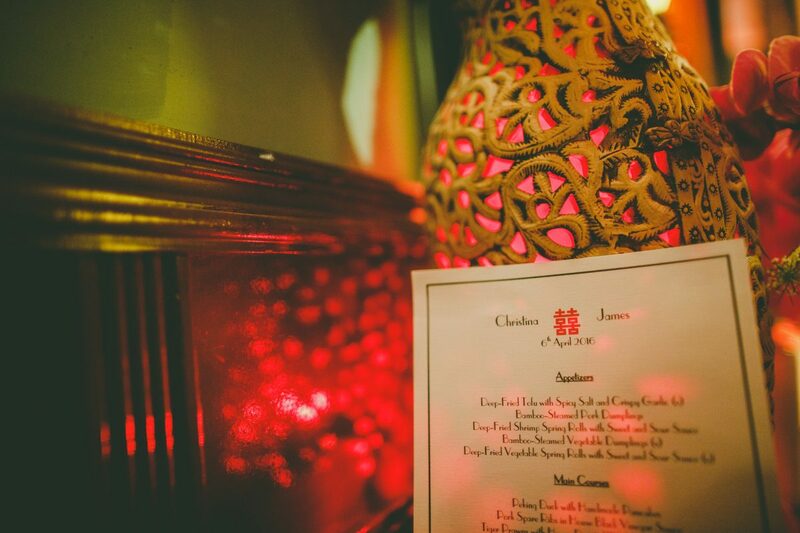 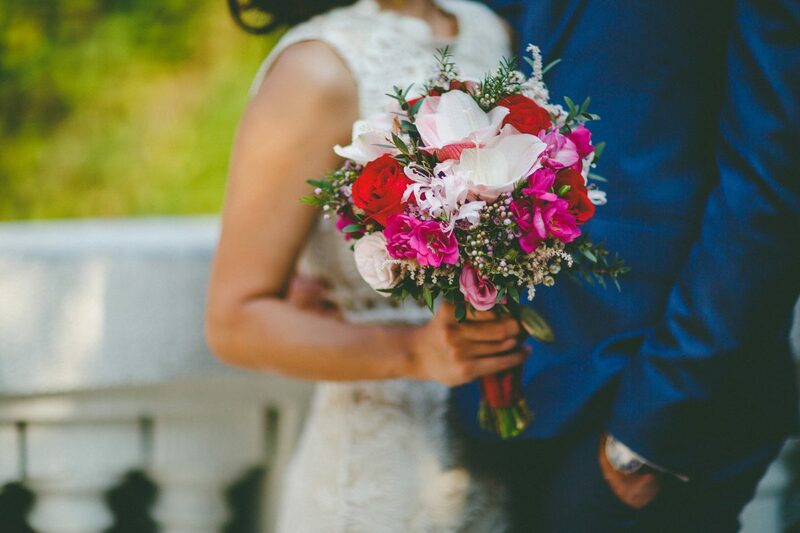 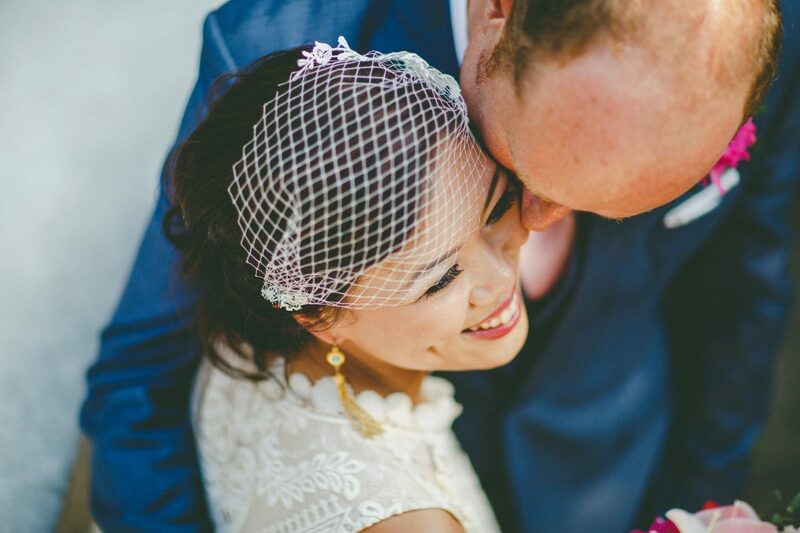 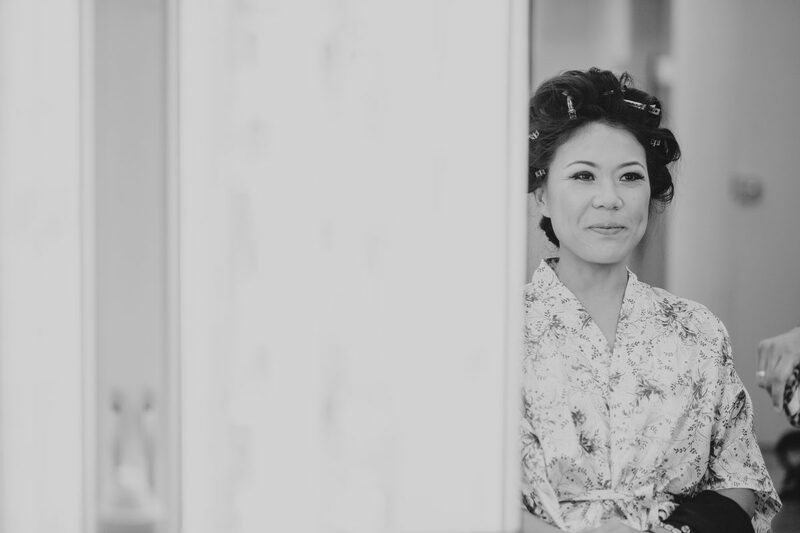 Some kind words from Christina after her and James’ Hong Kong wedding. 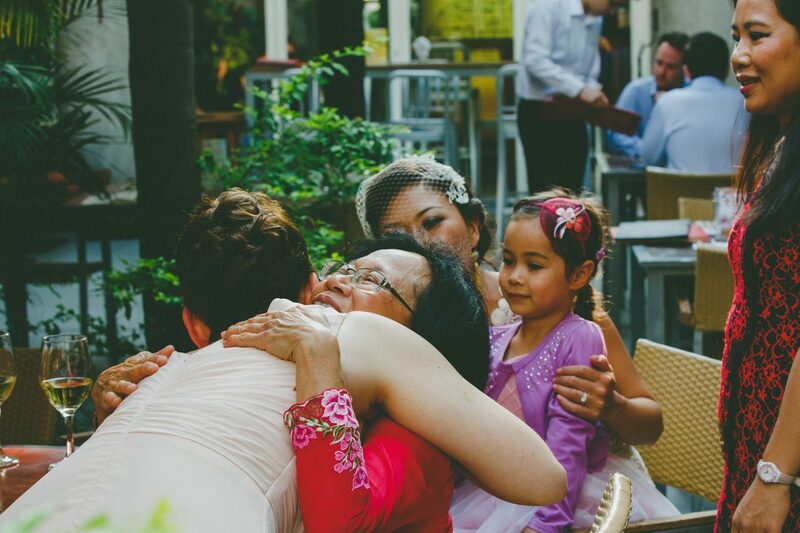 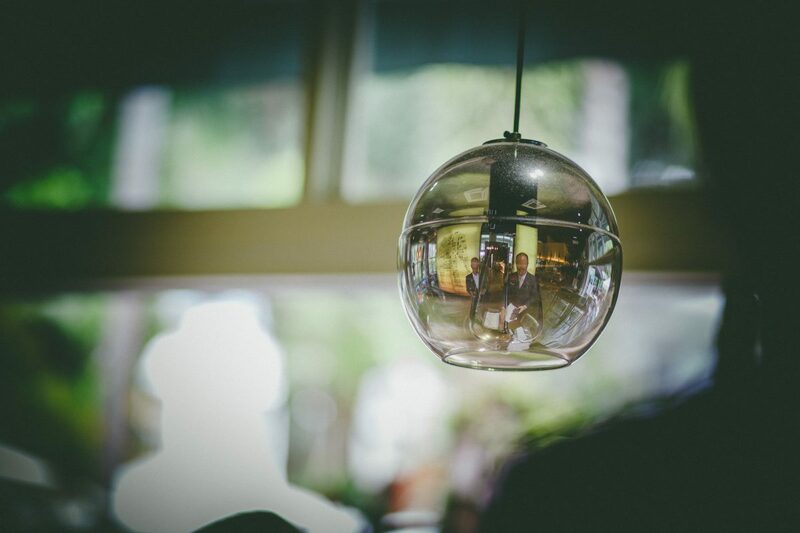 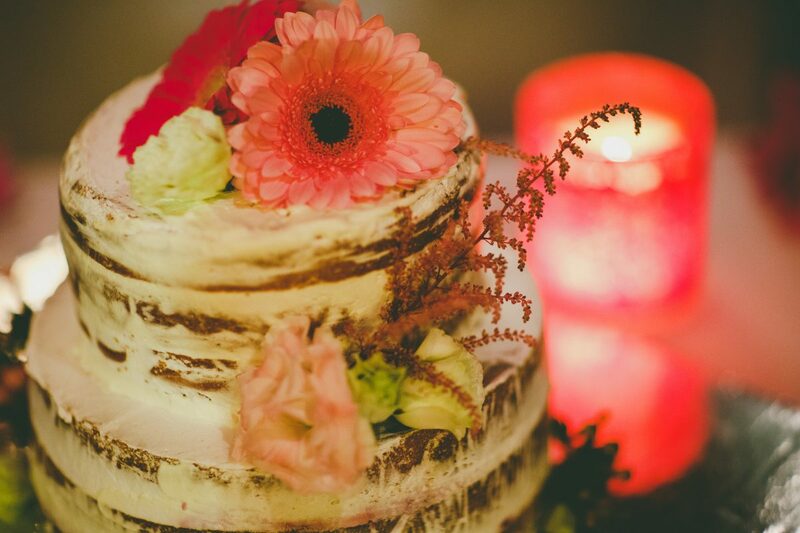 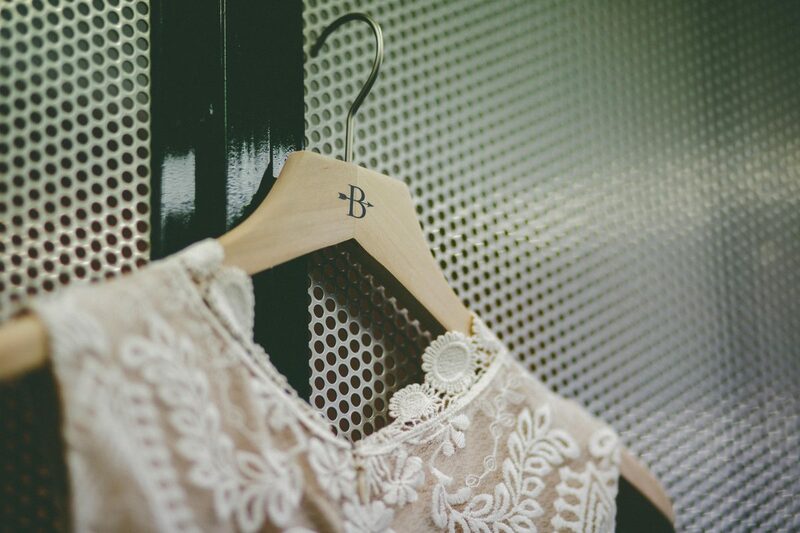 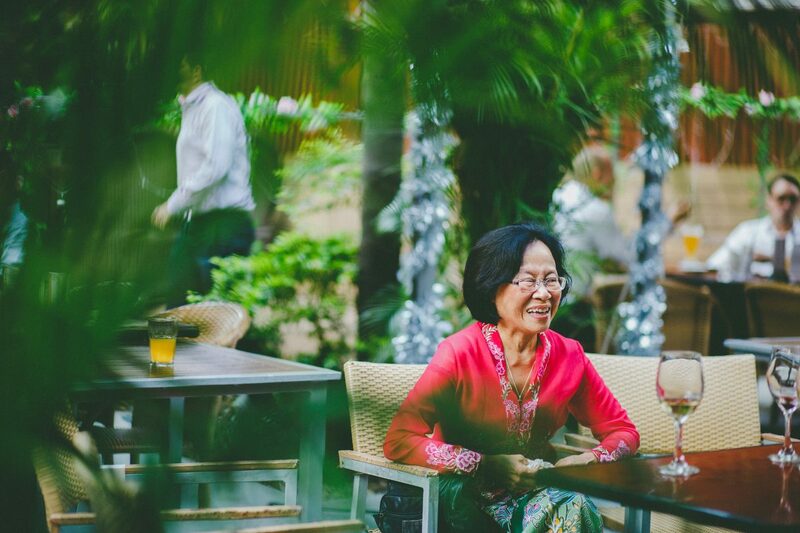 It was a lovely intimate affair with friends and family coming from all over to celebrate their marriage. 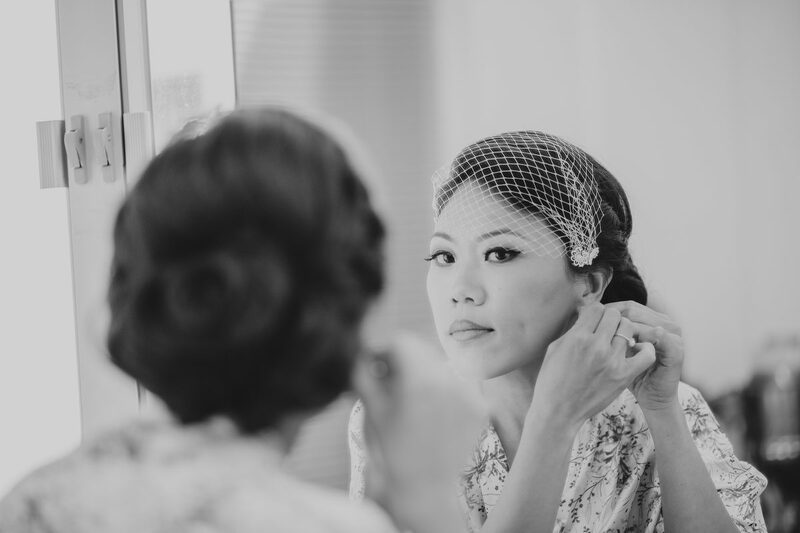 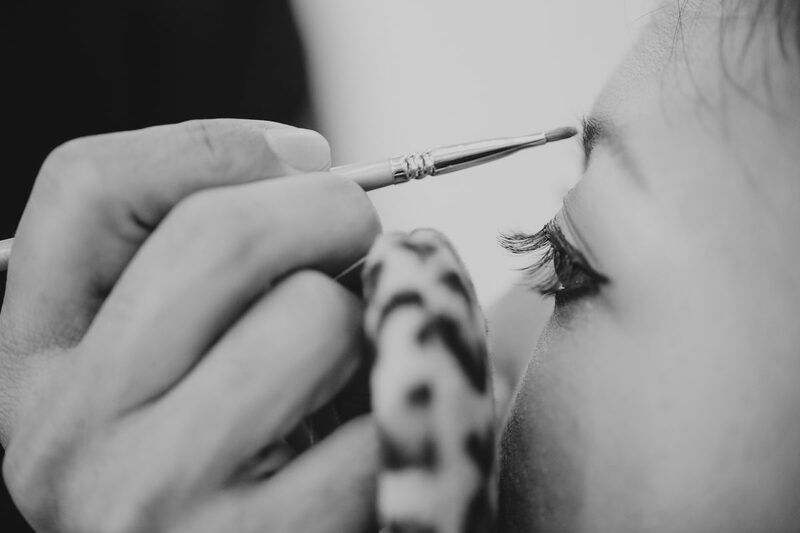 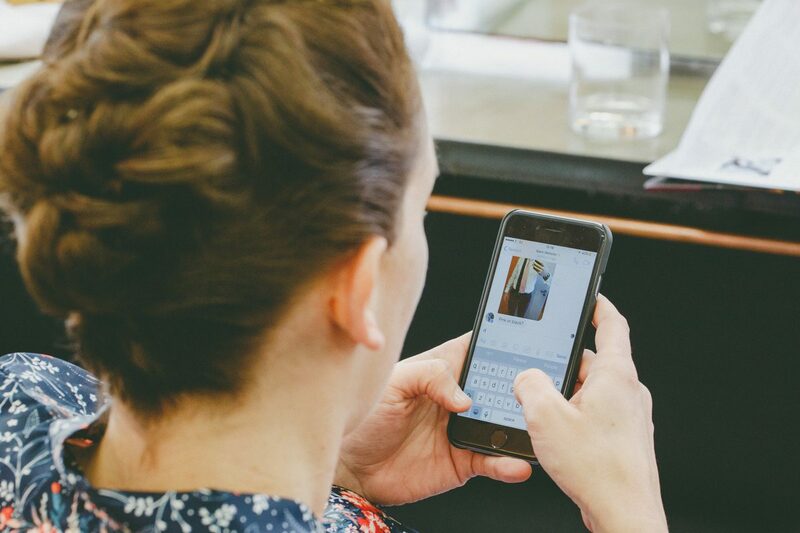 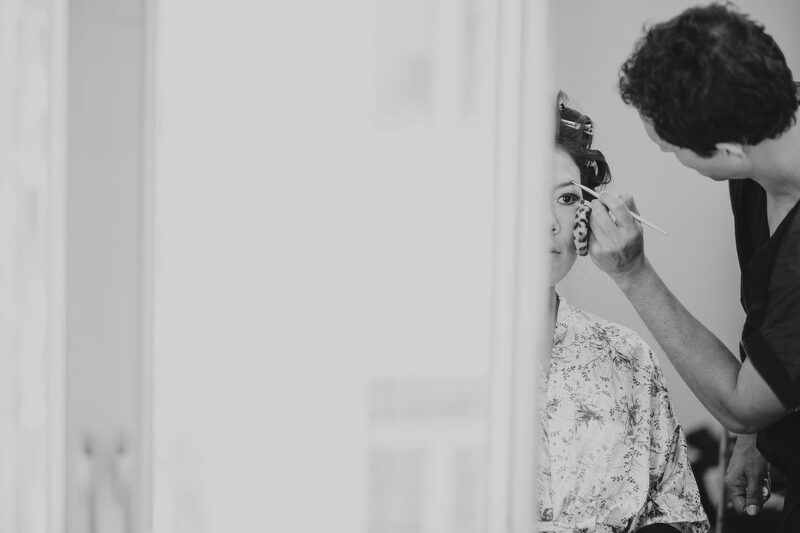 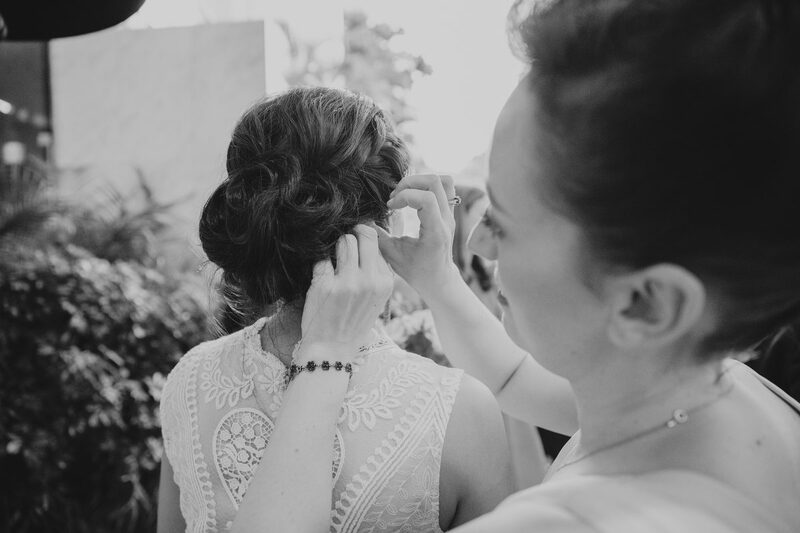 We started with bridal prep at Paul Garrard salon in Central, where I got some great pics of Christina and her maid of honor getting ready. 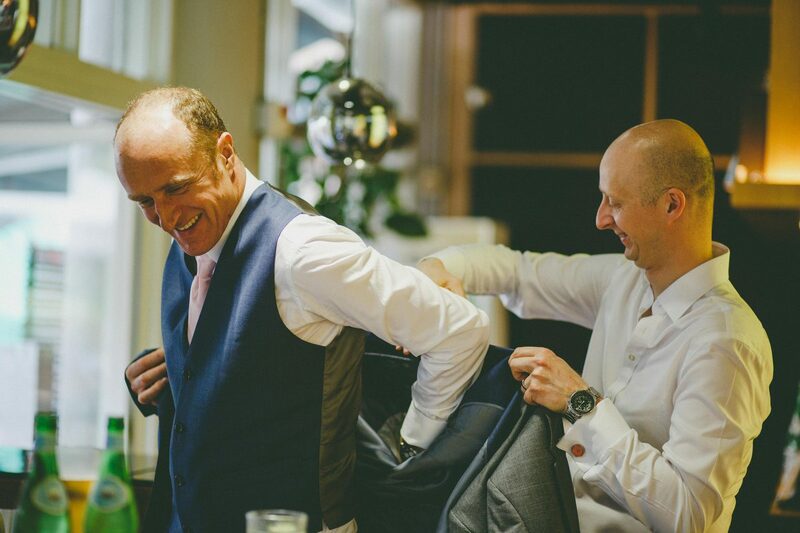 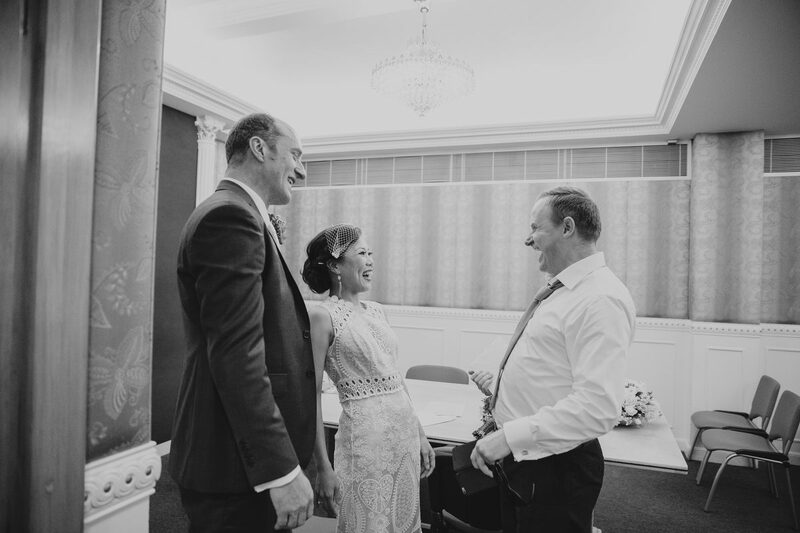 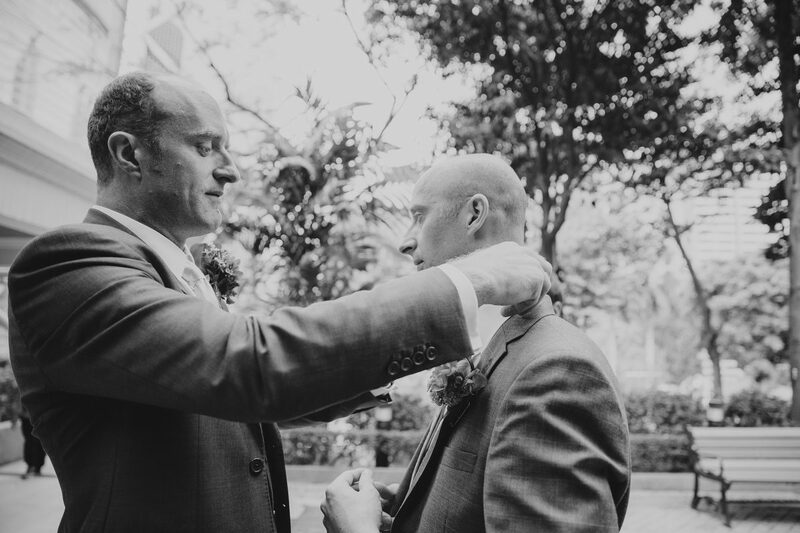 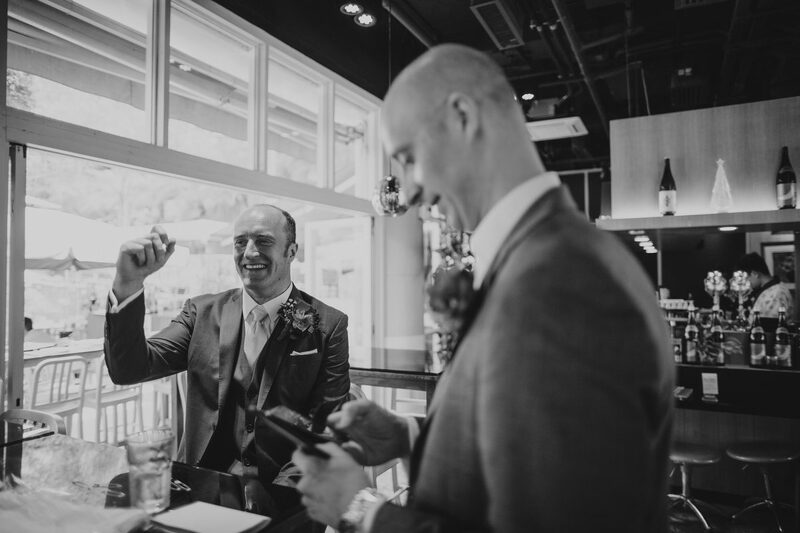 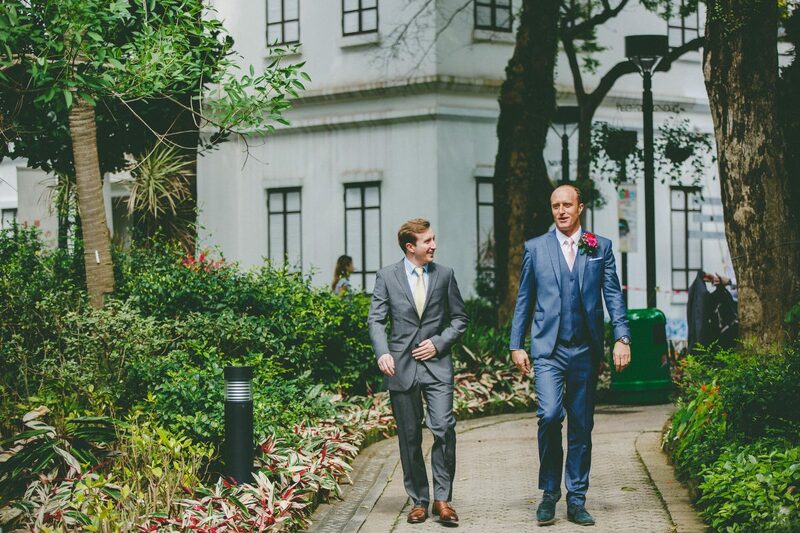 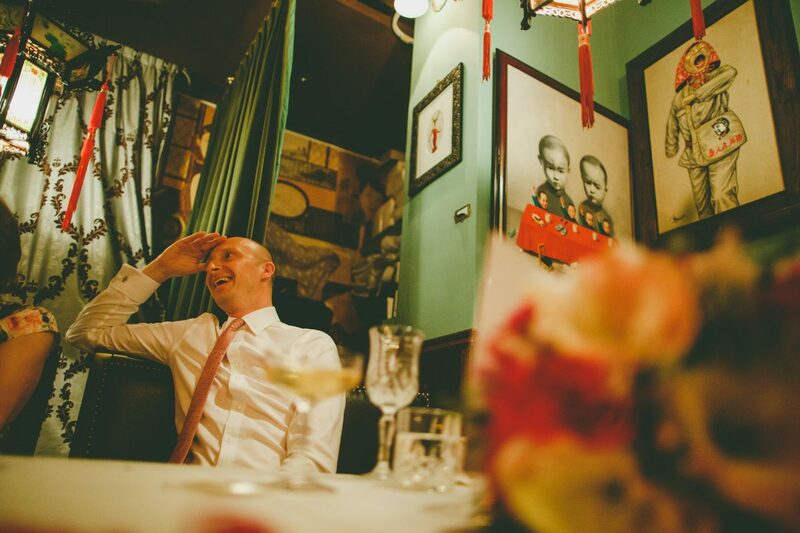 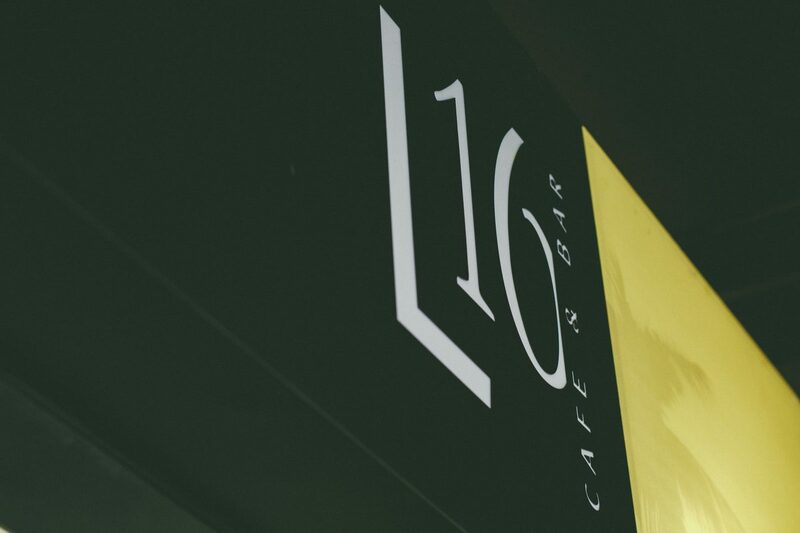 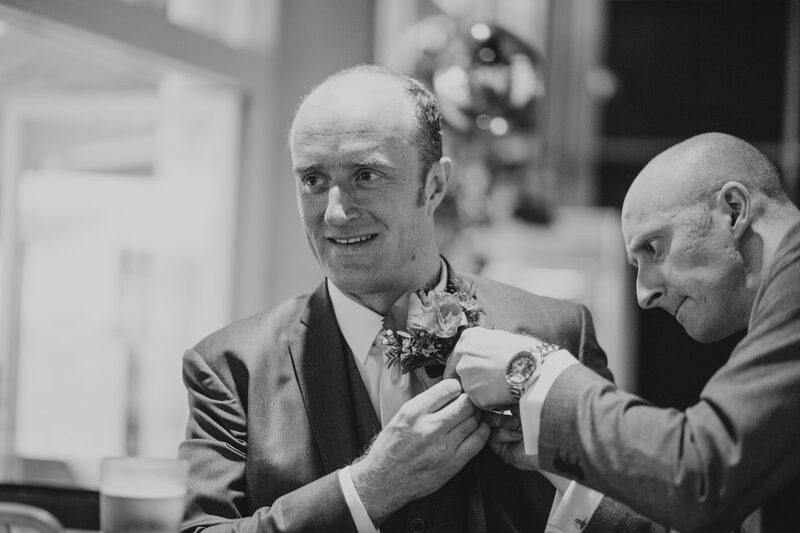 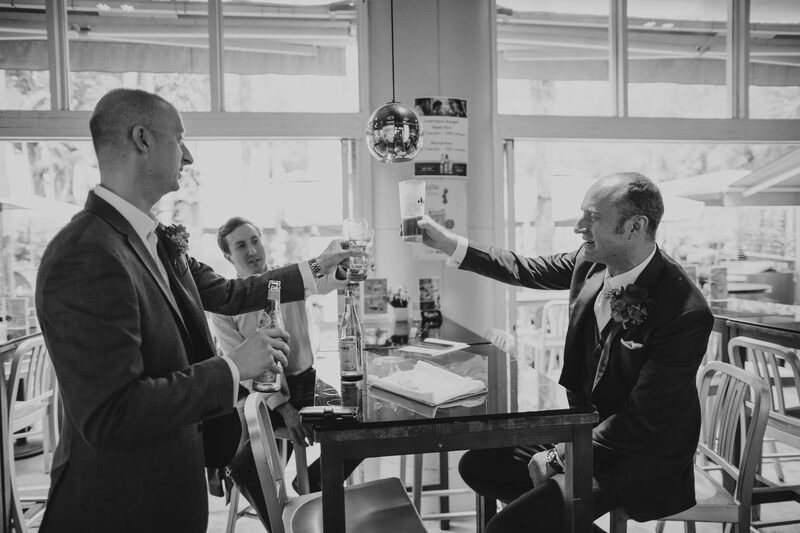 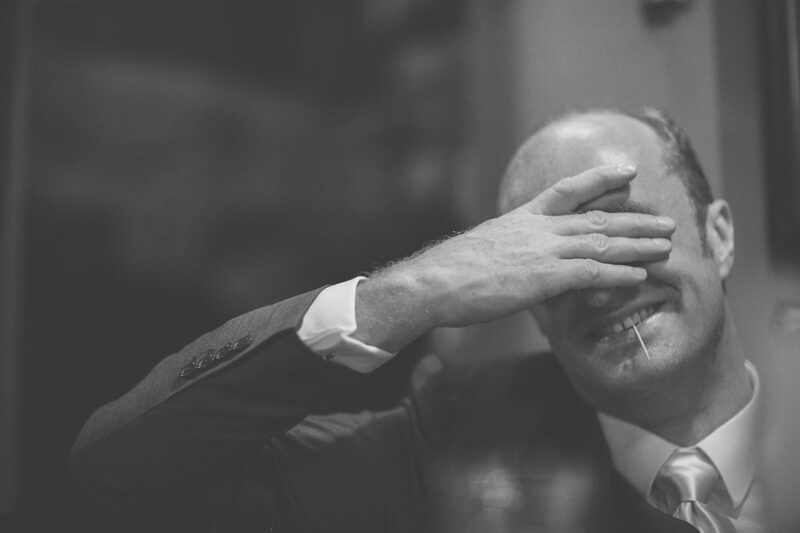 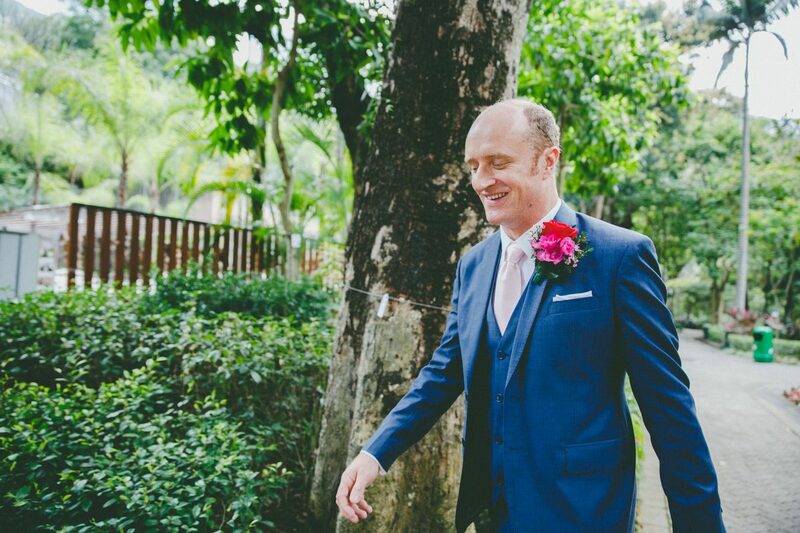 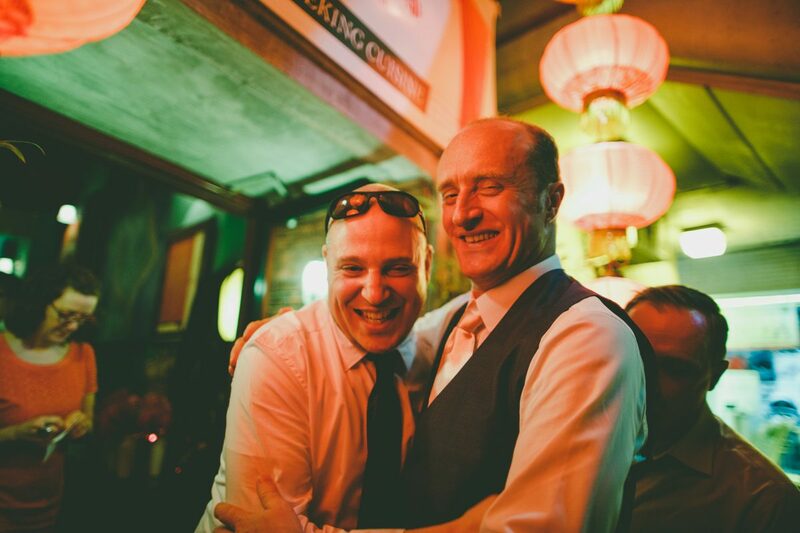 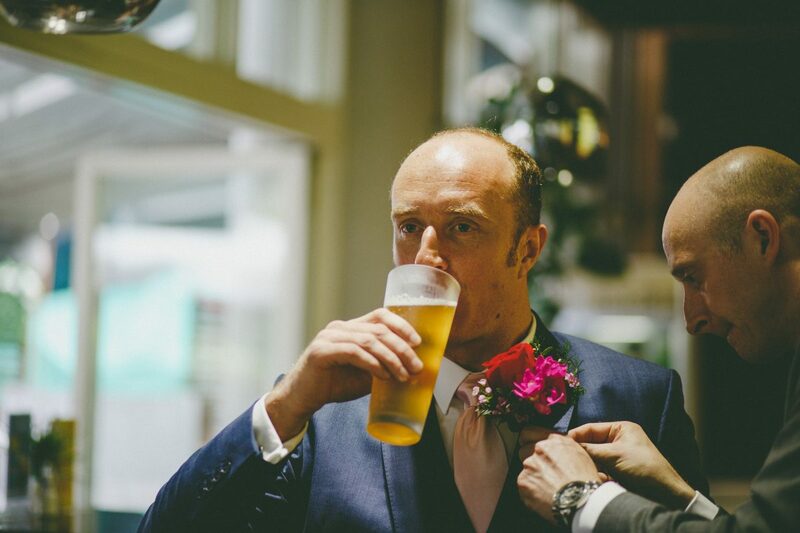 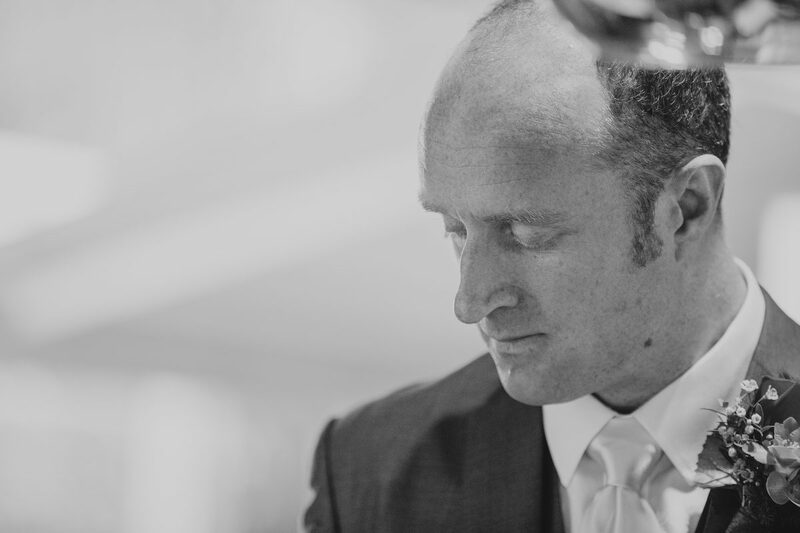 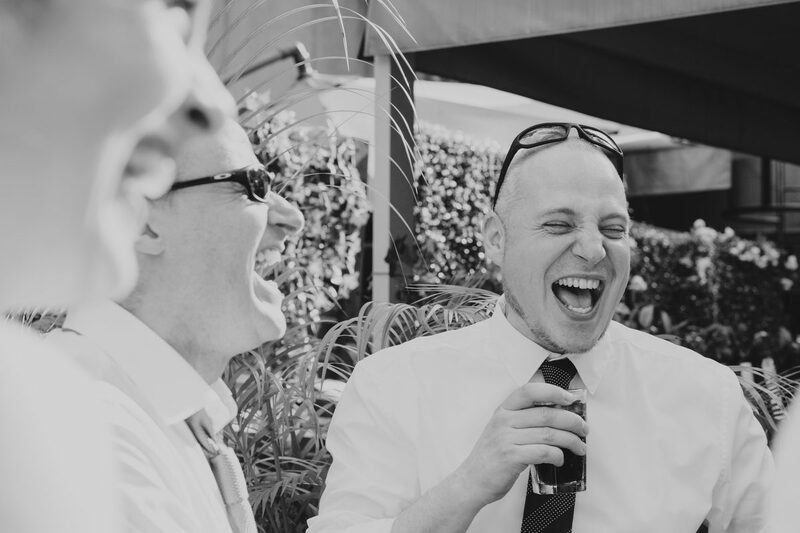 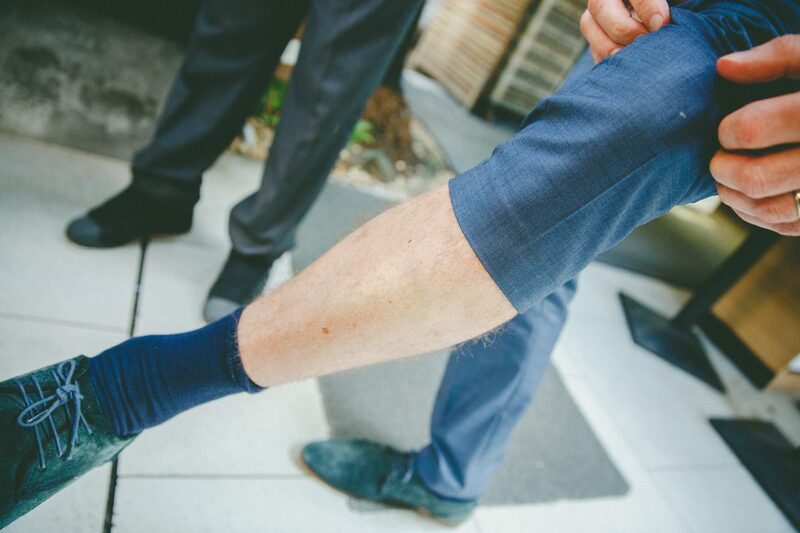 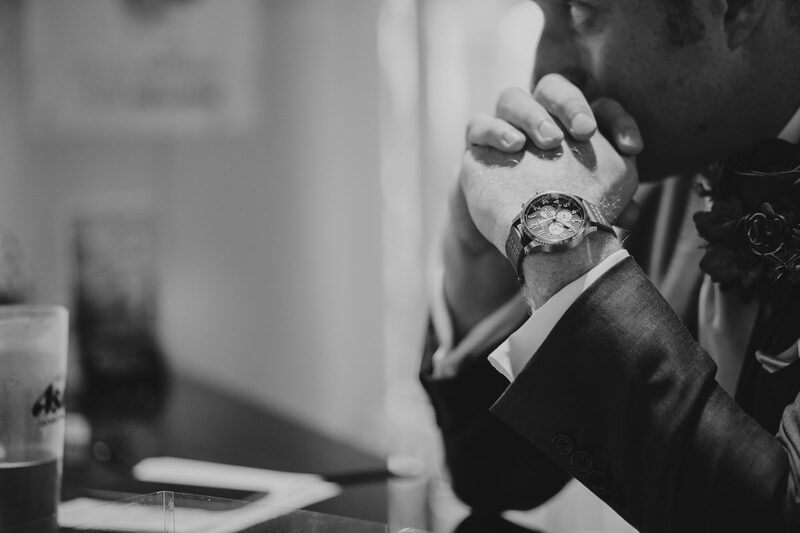 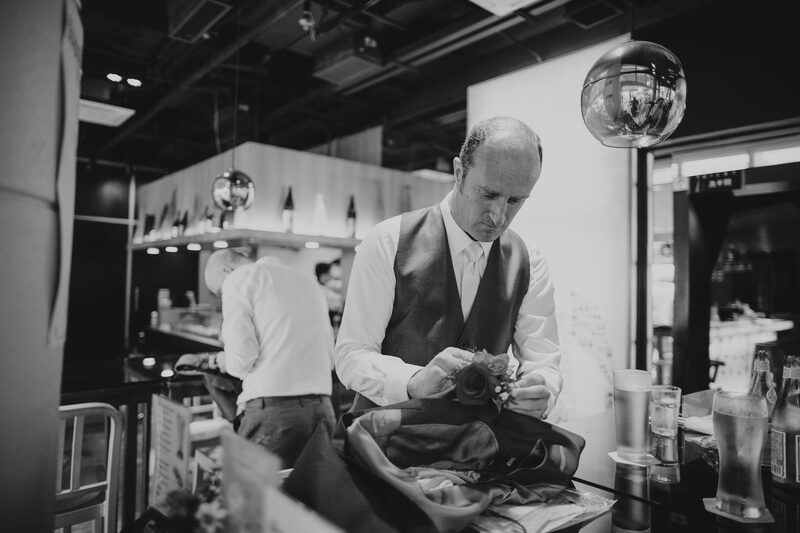 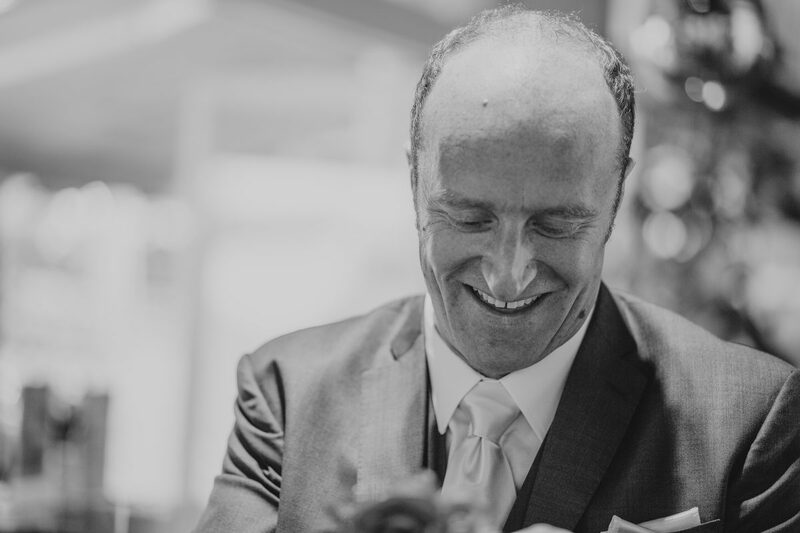 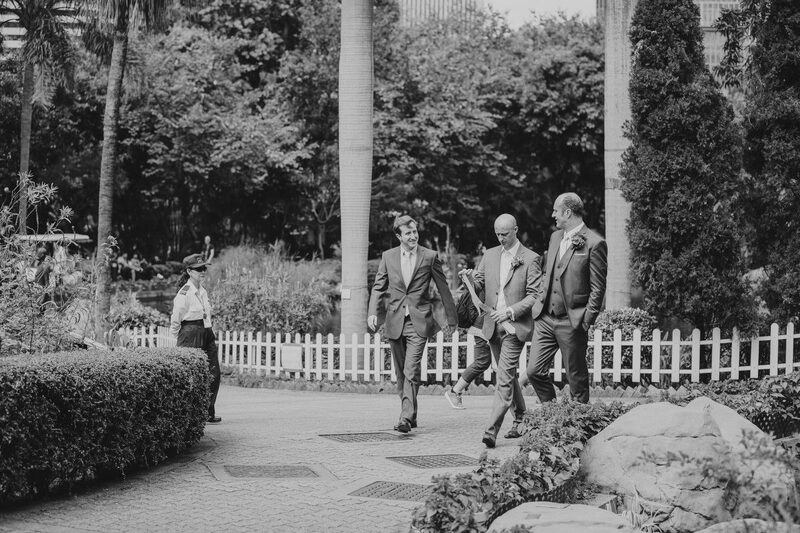 Then I went over to meet James and his groomsmen in L16 Restaurant at HK Park – much hilarity ensued trying to put buttonholes on! 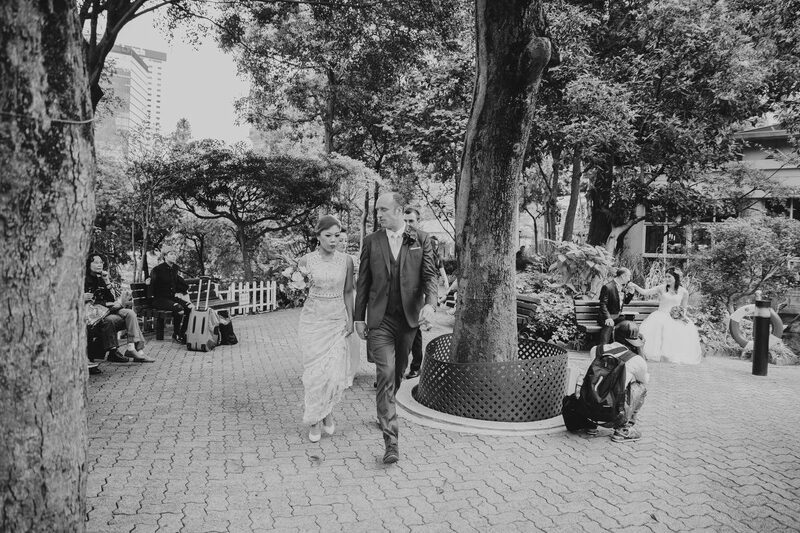 The ceremony was close by at Cotton Tree Drive Registry Office and afterwards we got some bride and groom shots in the little park above the registry office.